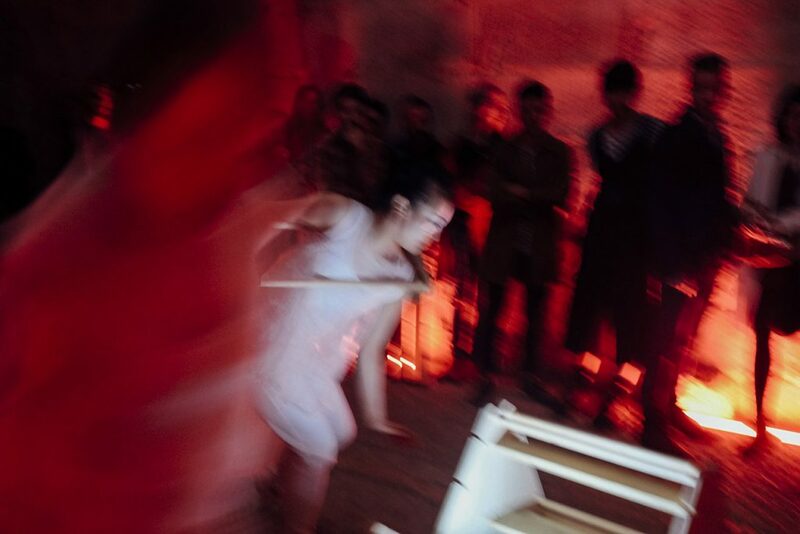 Being an inter-professional studio, we wish to engage ourselves in a multi-component venue. 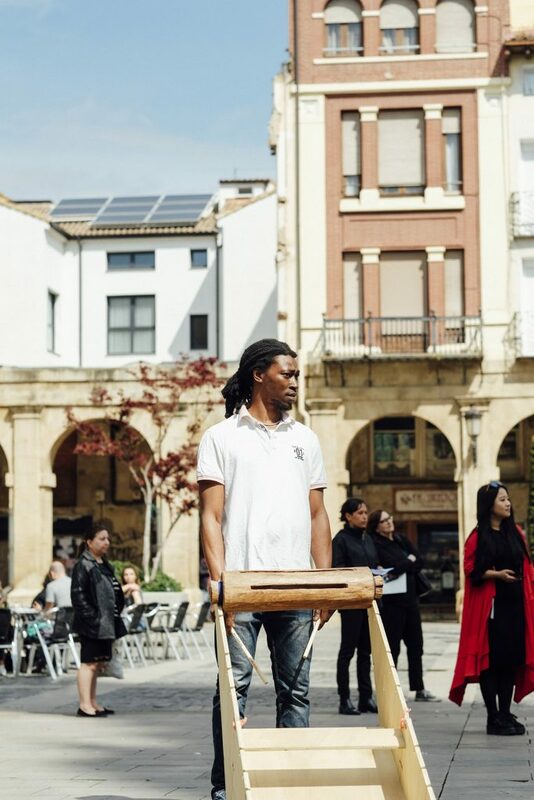 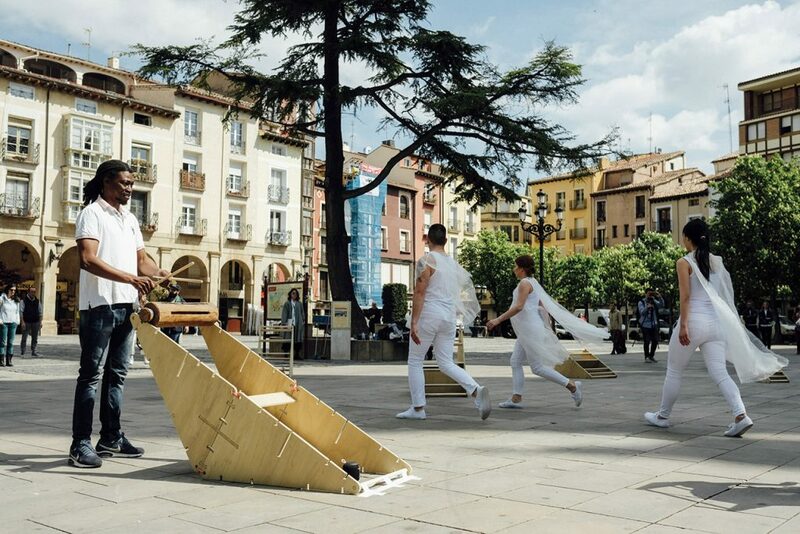 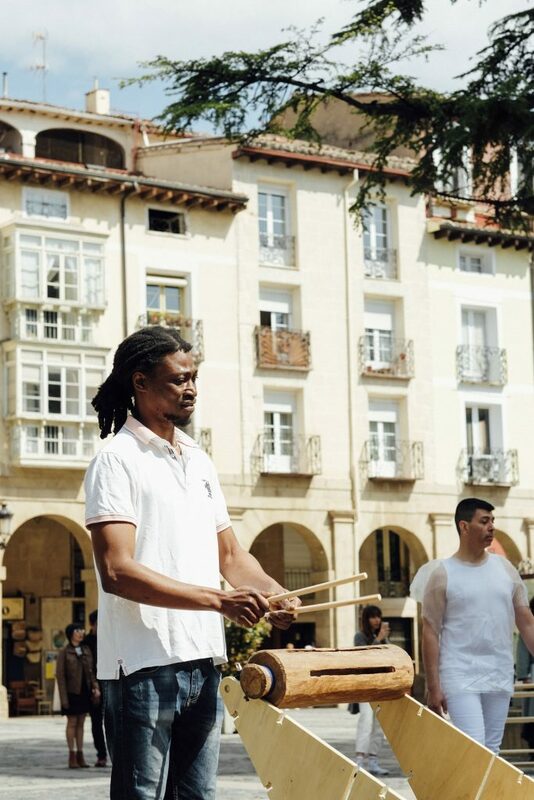 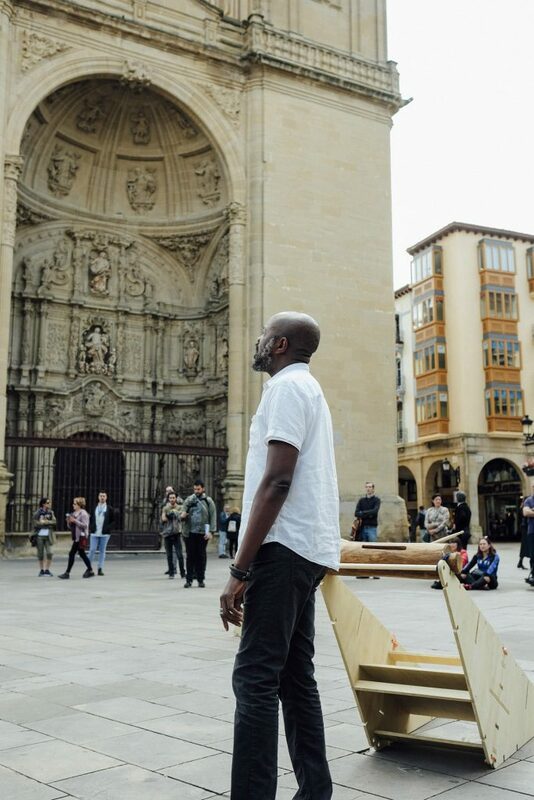 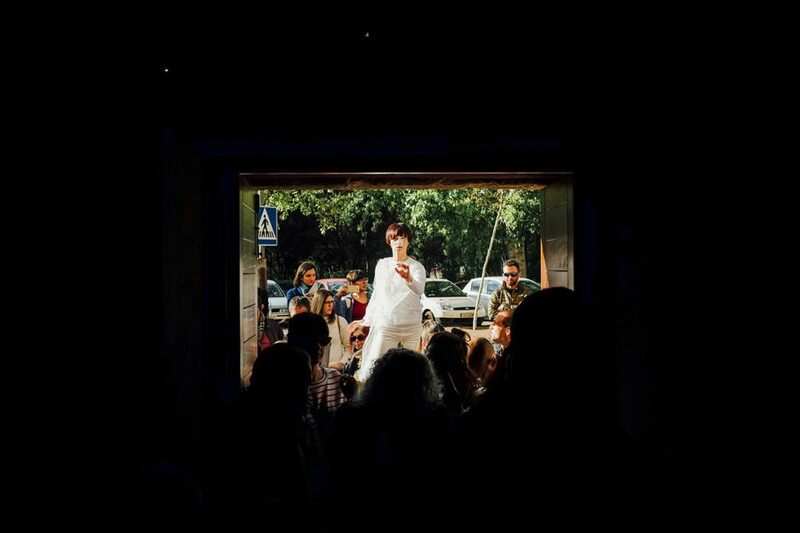 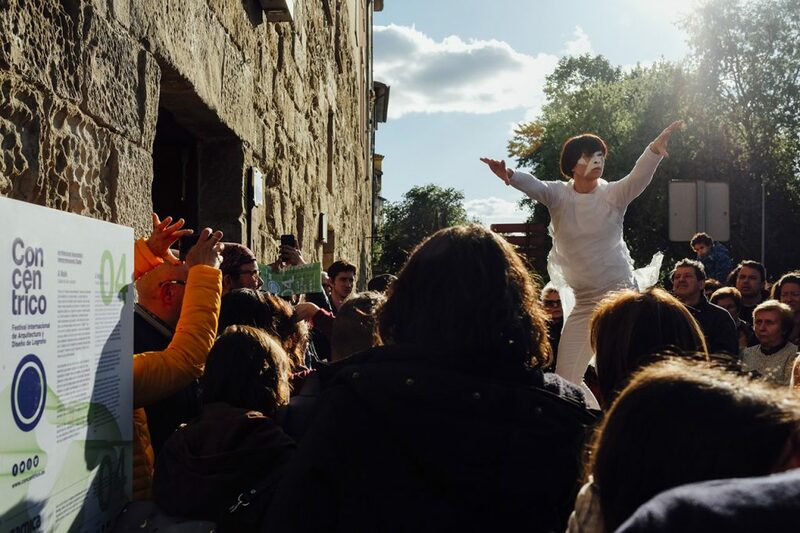 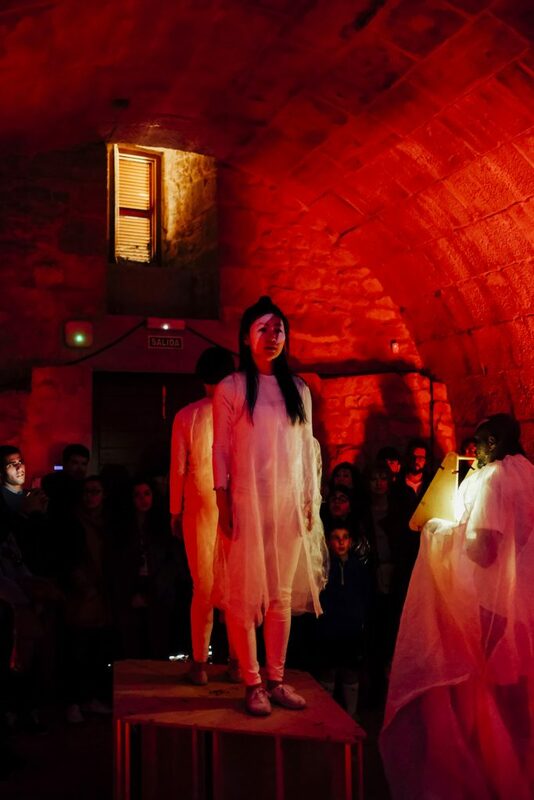 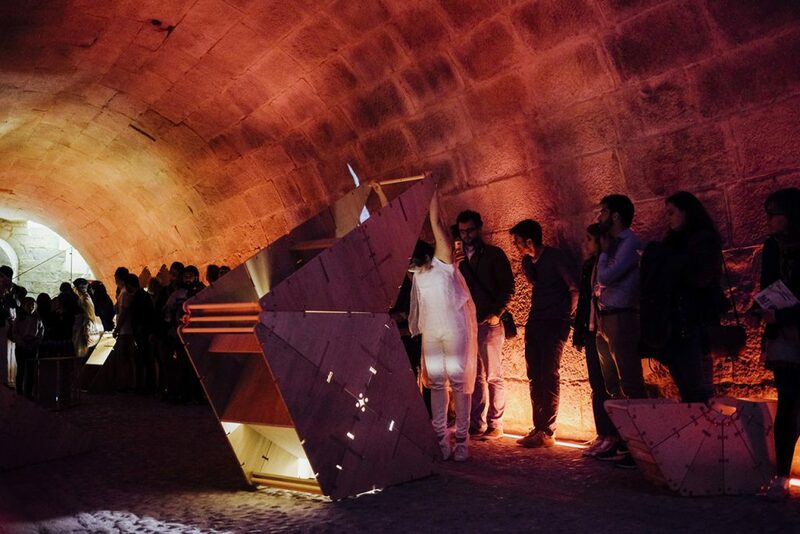 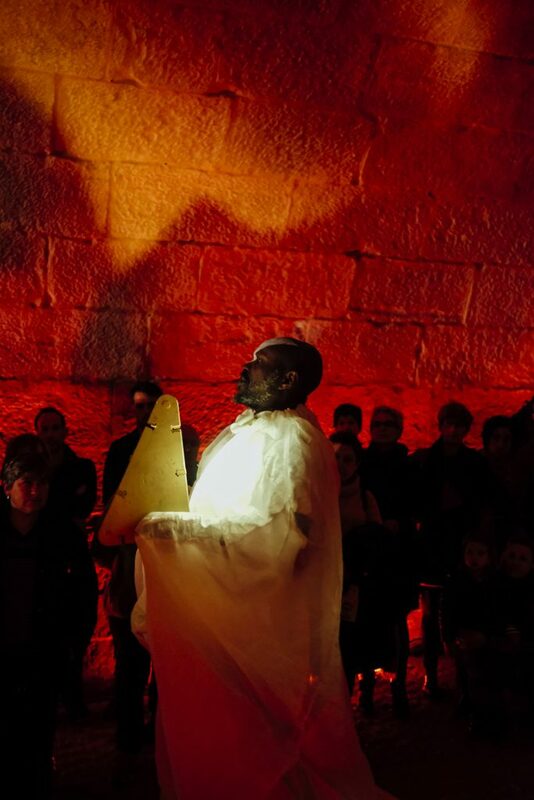 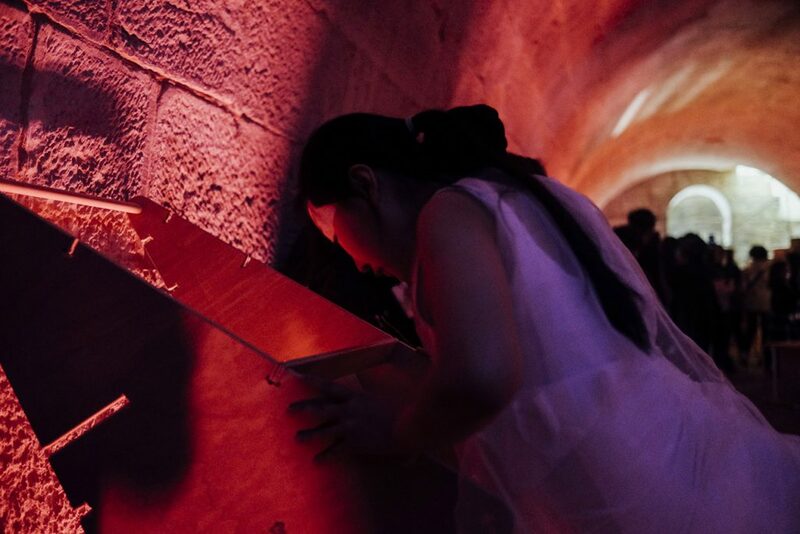 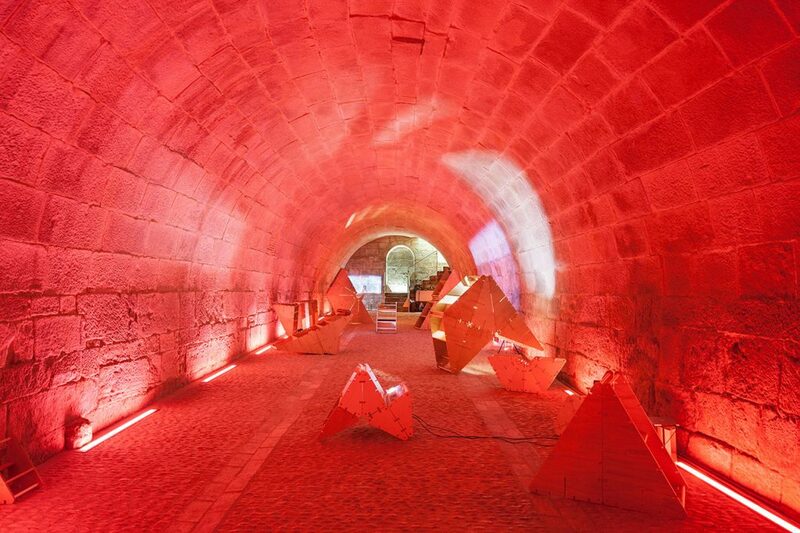 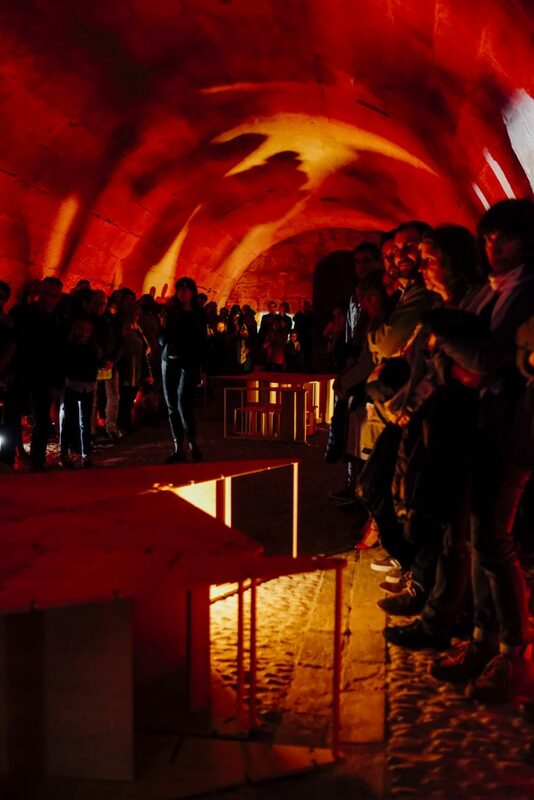 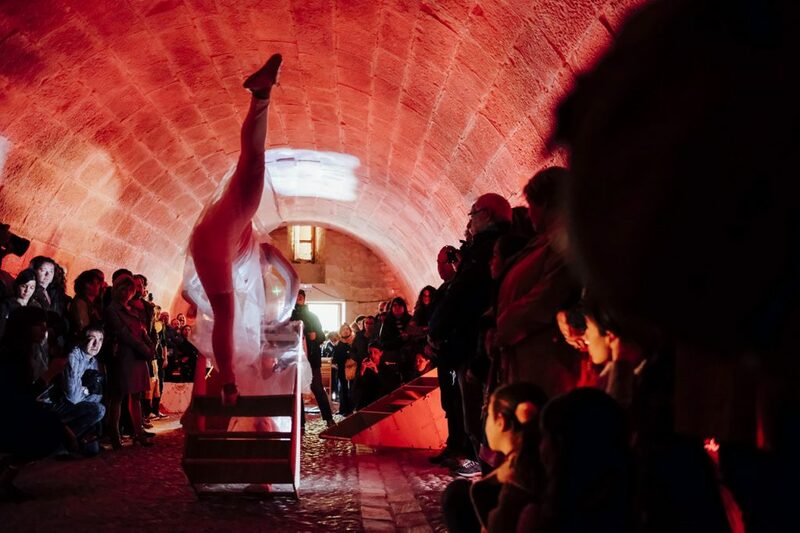 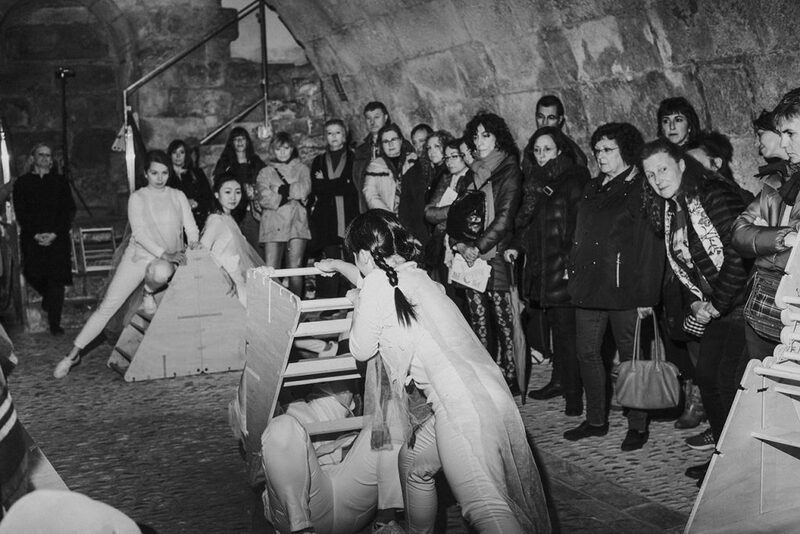 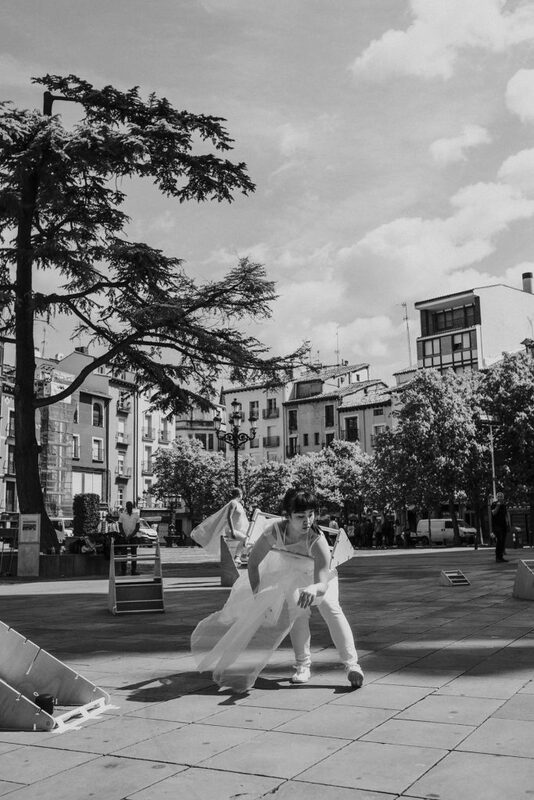 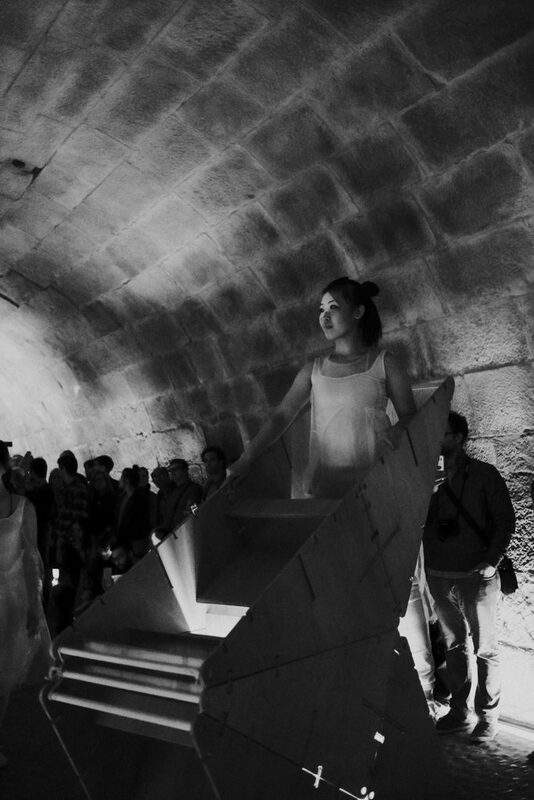 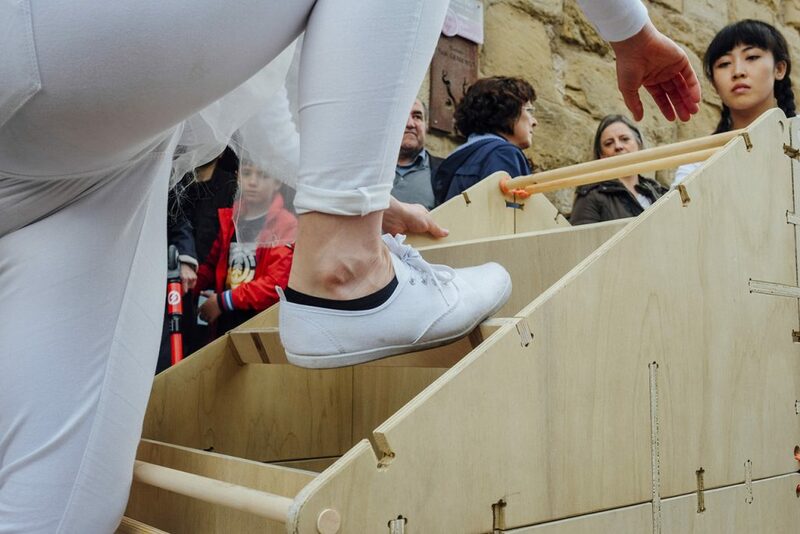 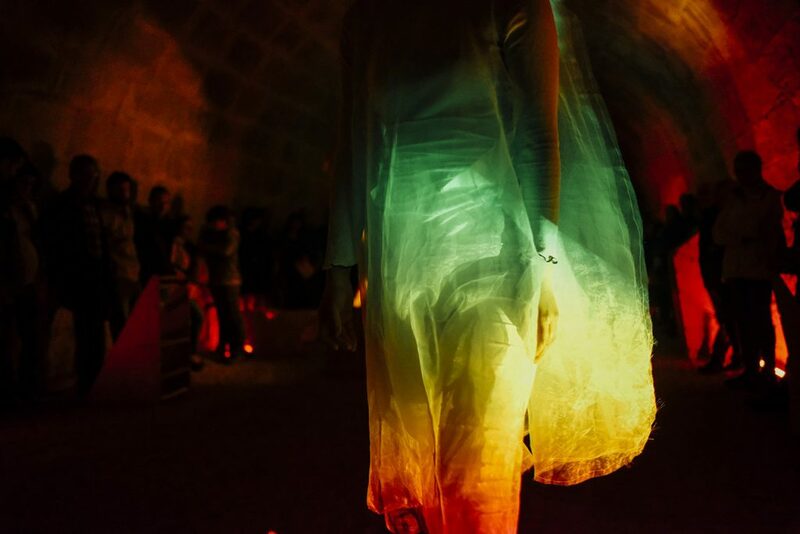 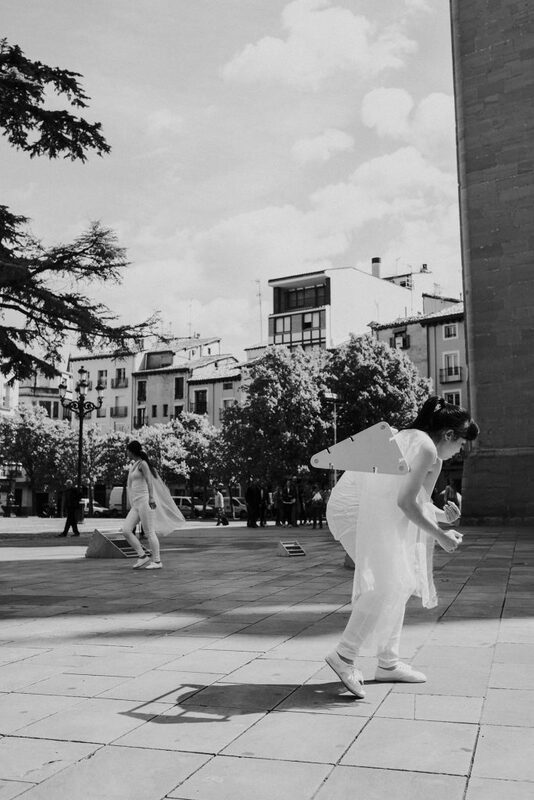 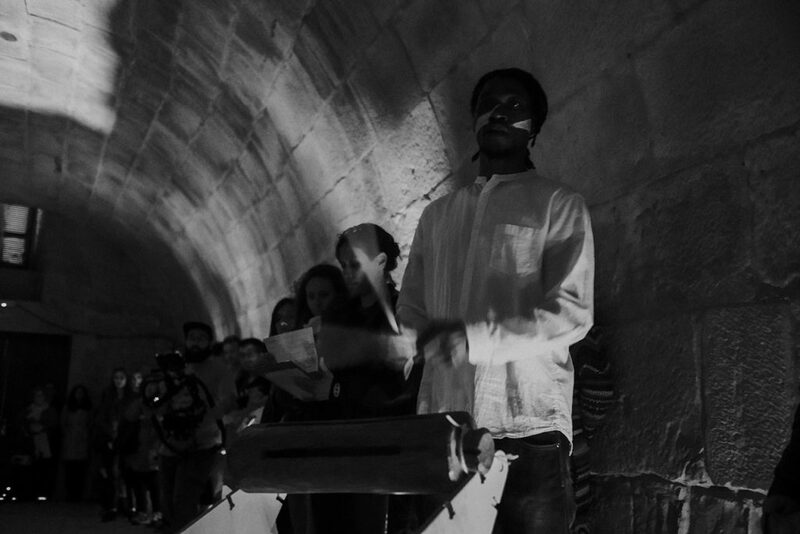 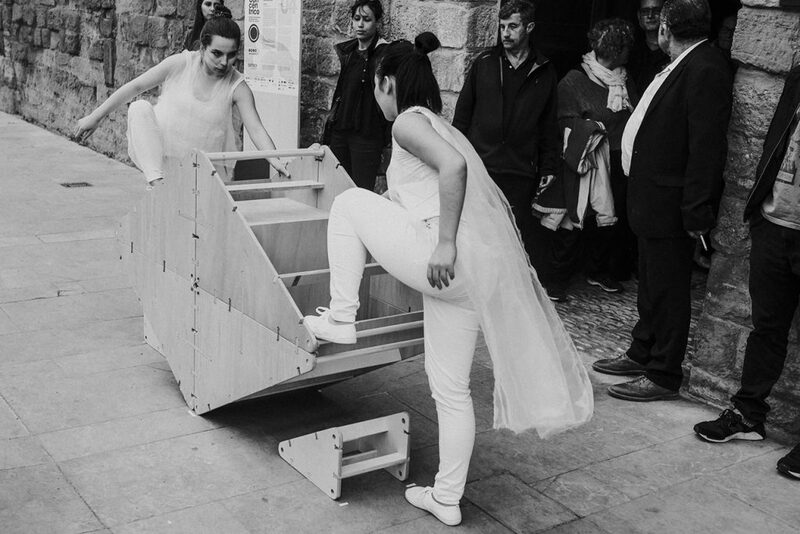 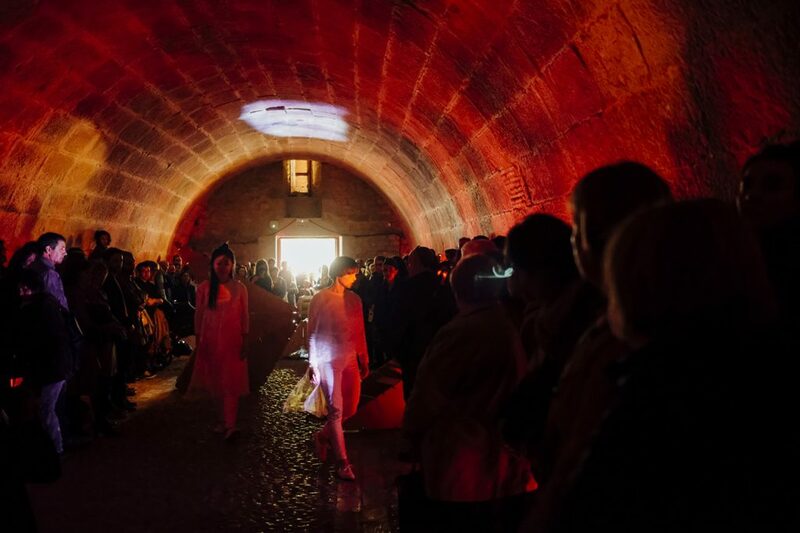 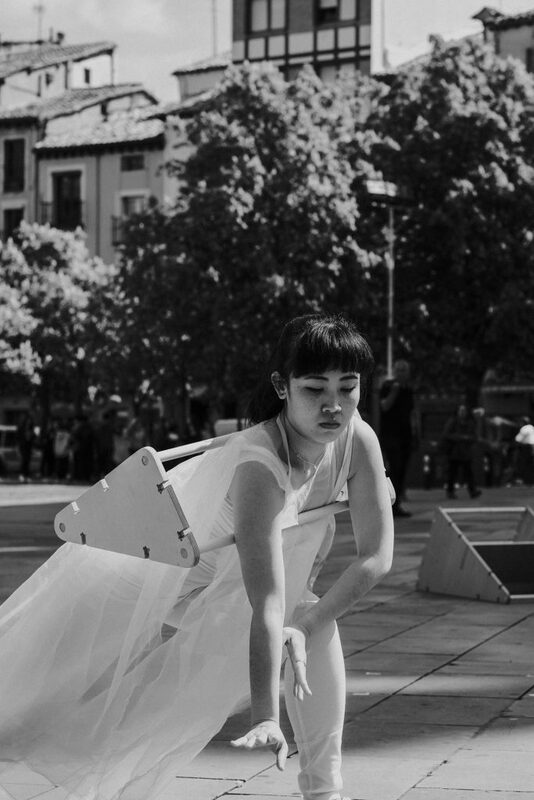 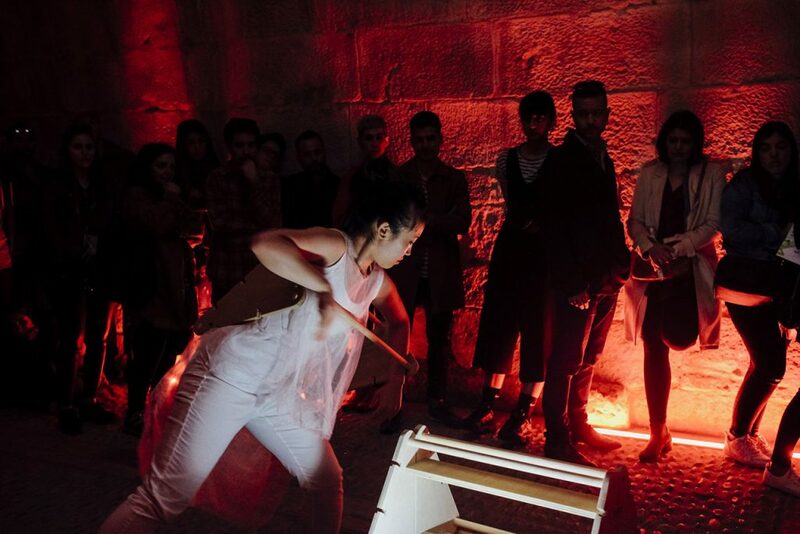 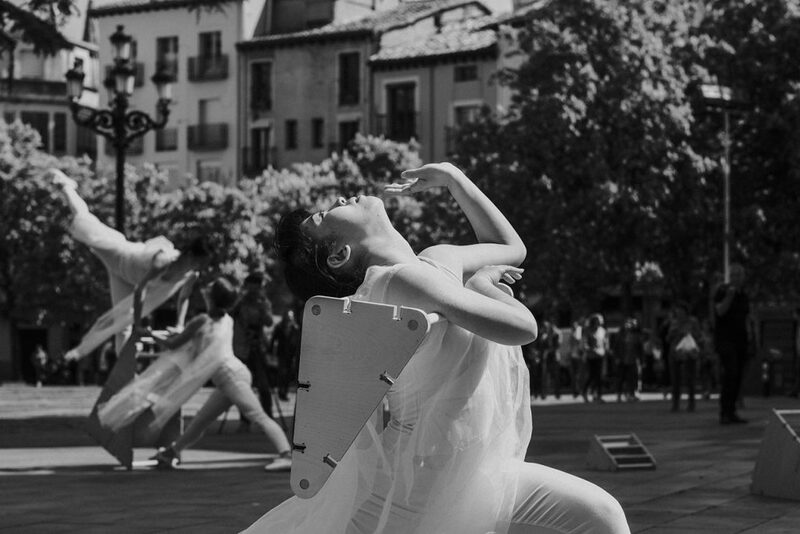 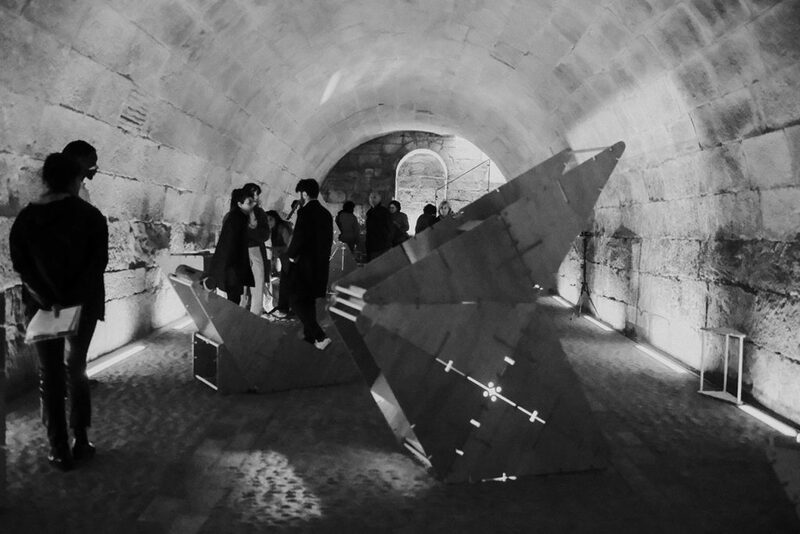 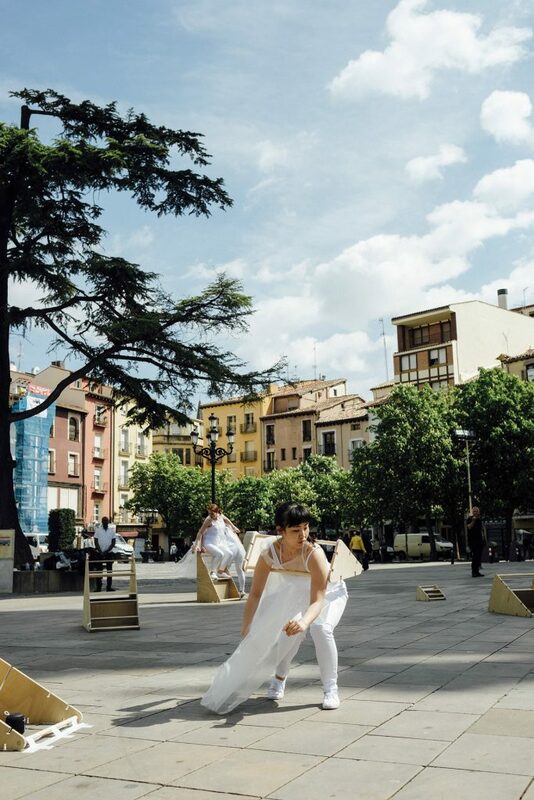 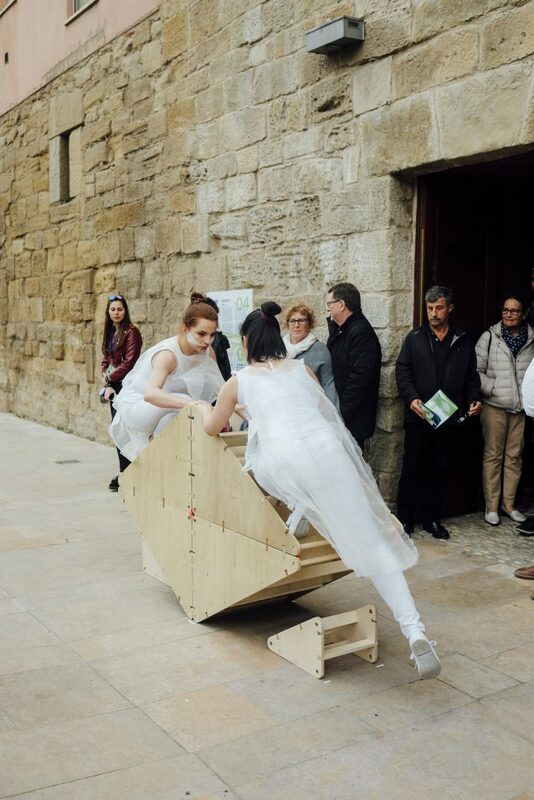 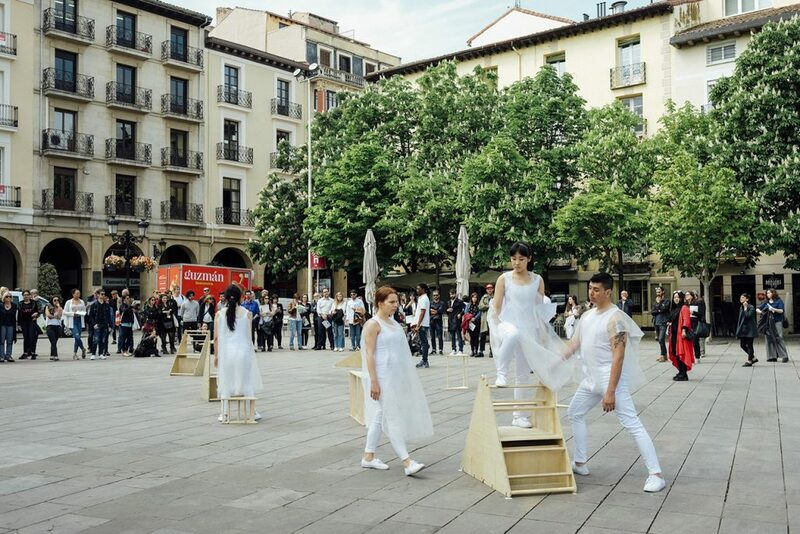 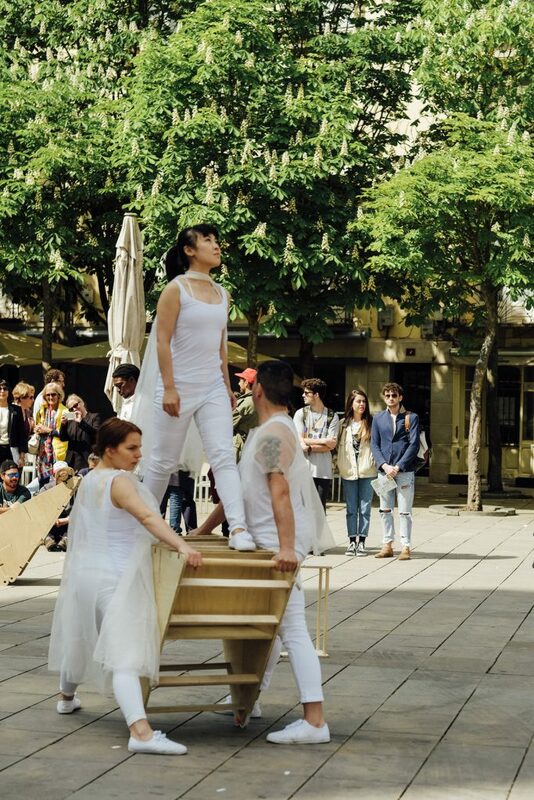 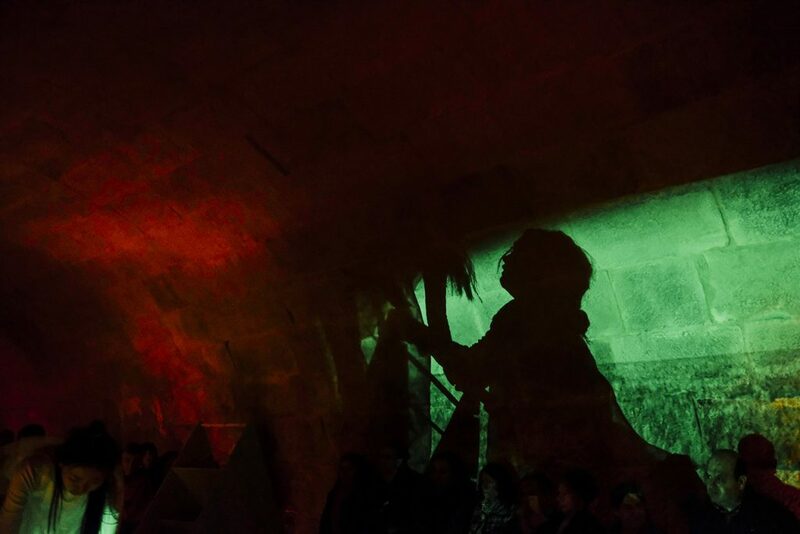 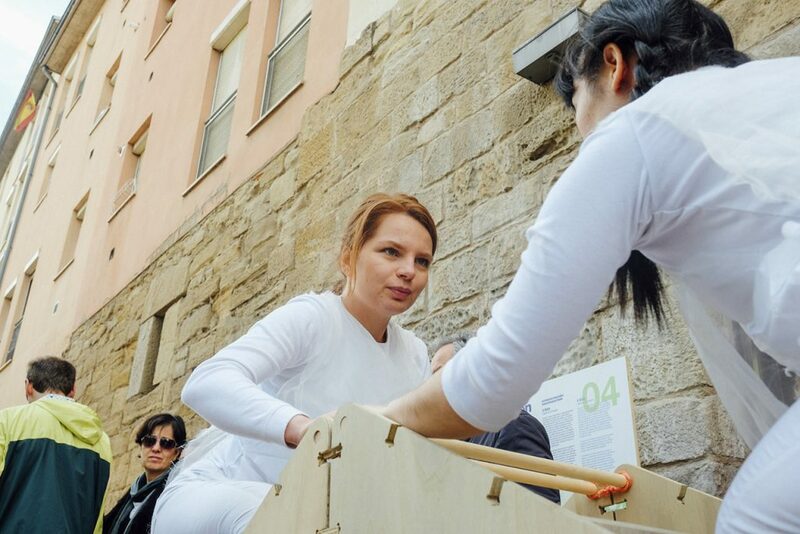 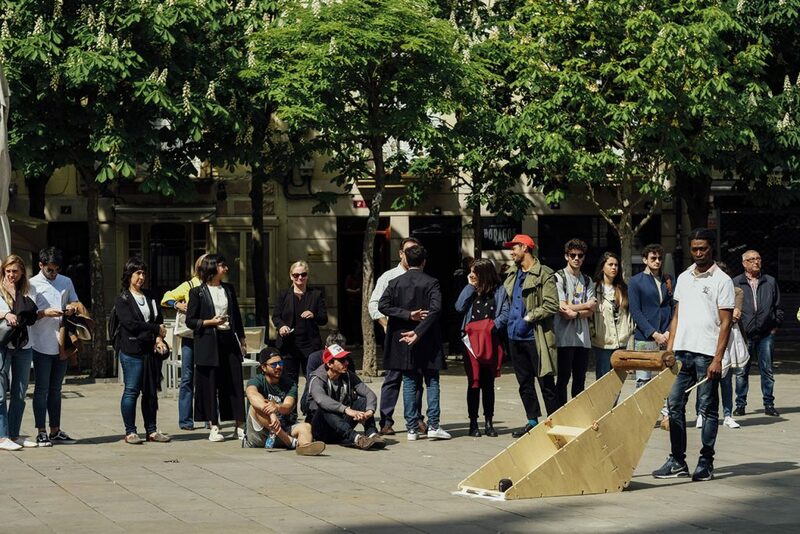 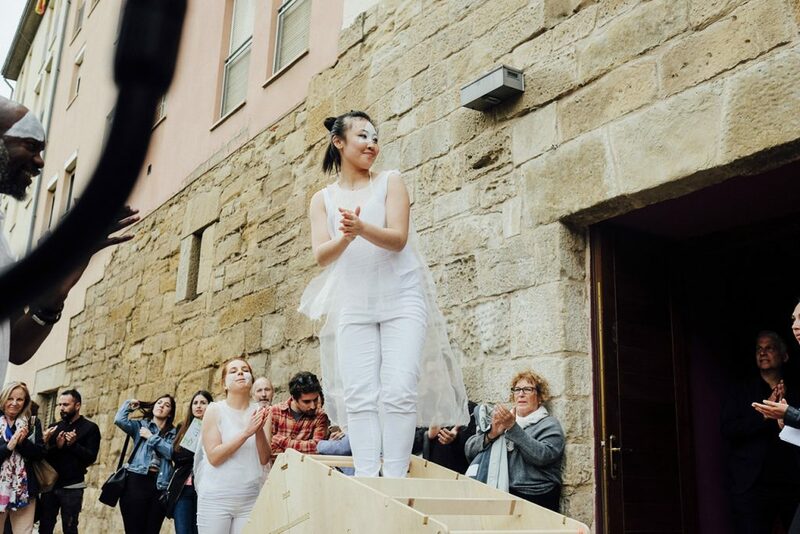 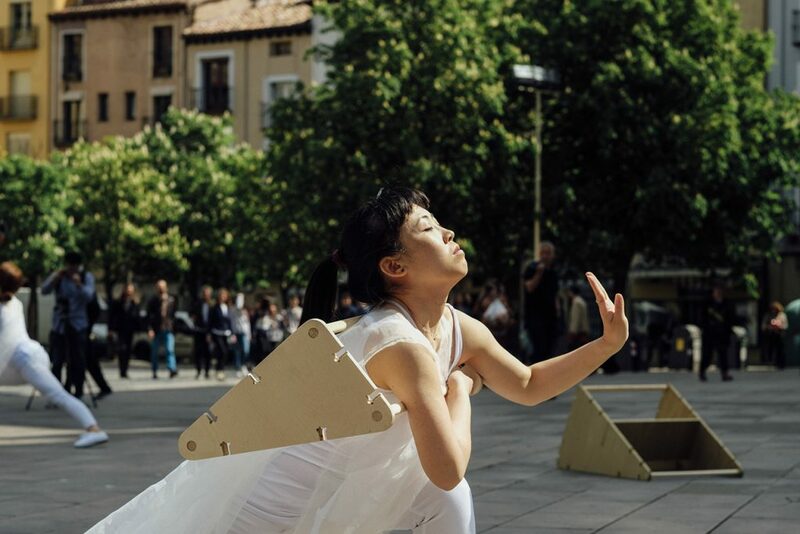 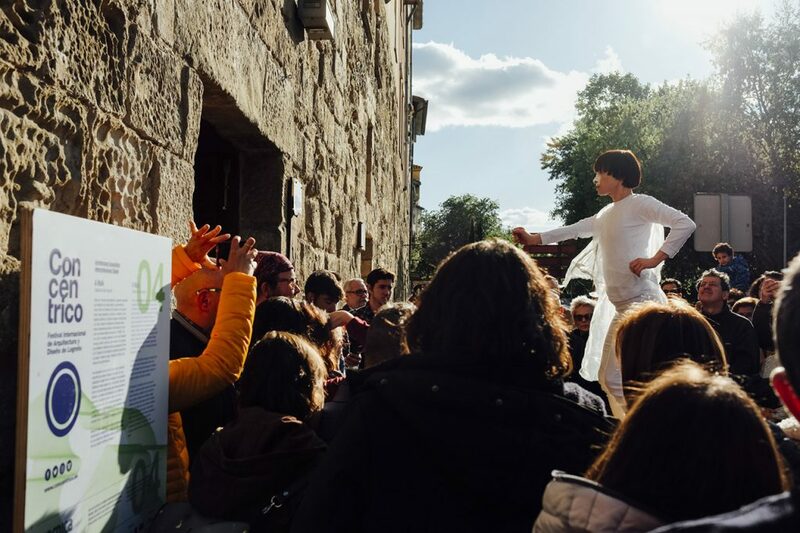 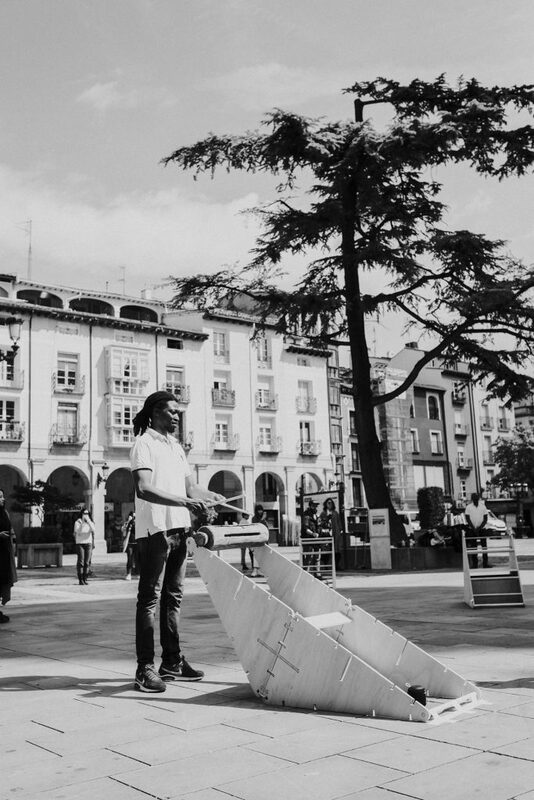 The opportunity to act within the Calado de San Gregorio, as a sight specific event as well as in outdoor and public spaces in Logrono suits our practice, both as individual makers and as a group. 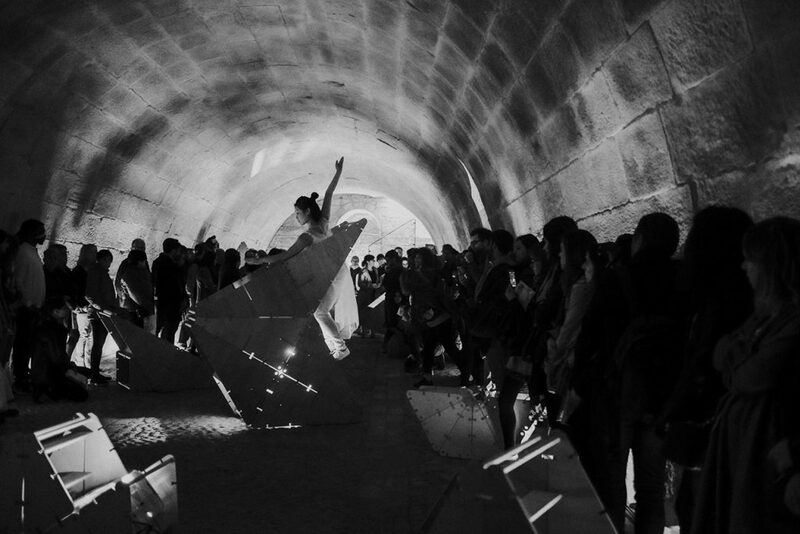 As we envision it, we wish to occupy multiple locations that can rely on the concept that we’ve been building: “A Walk”. 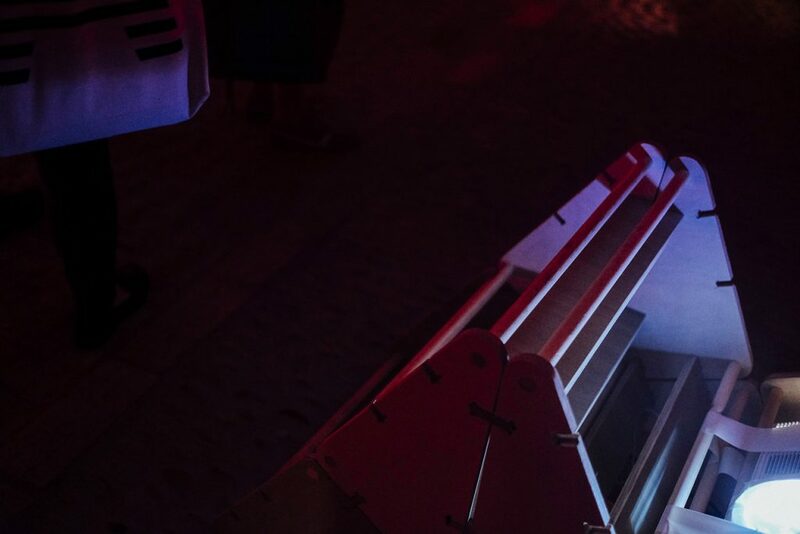 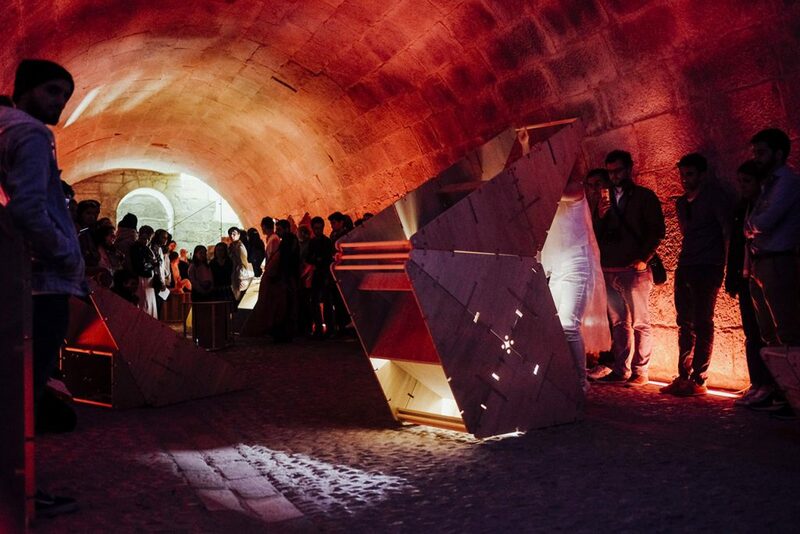 By this we aspire to make a nomadic installation, path-like, which would engage people to draw relations between the locations of Concéntrico Festival. 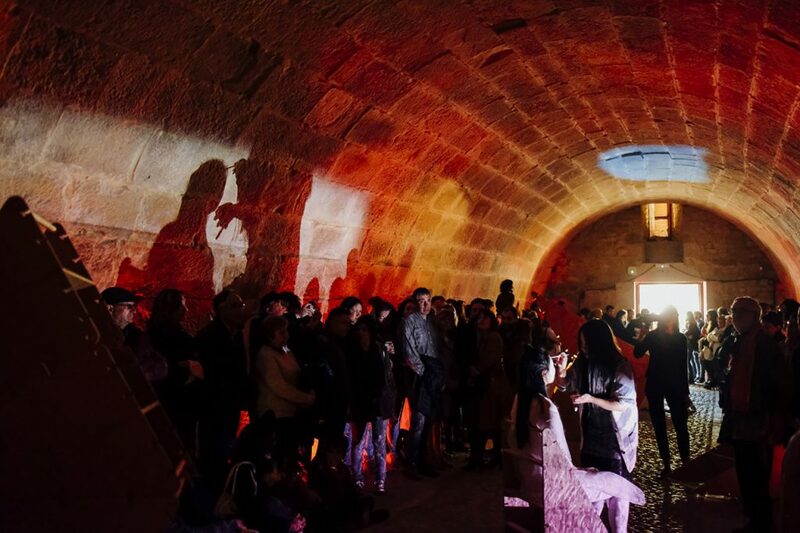 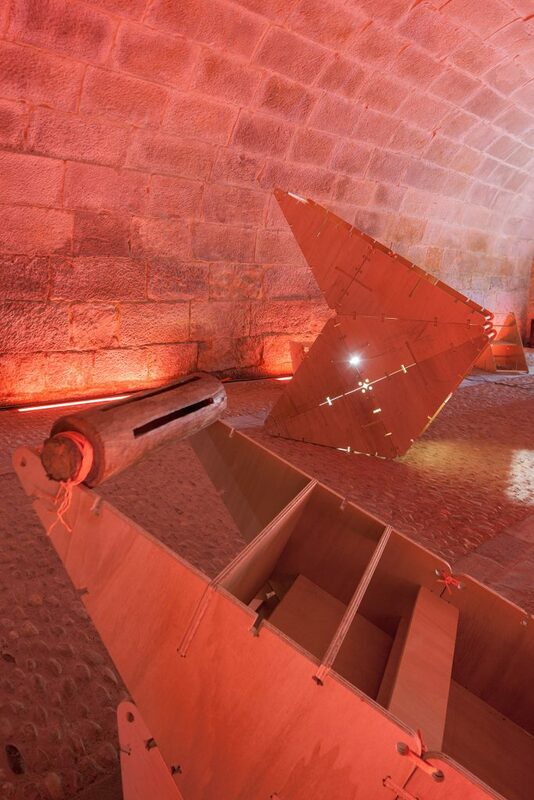 The space in the Calado de San Gregorio could become our stationary “charging dock”; the ending and beginning throughout the event. 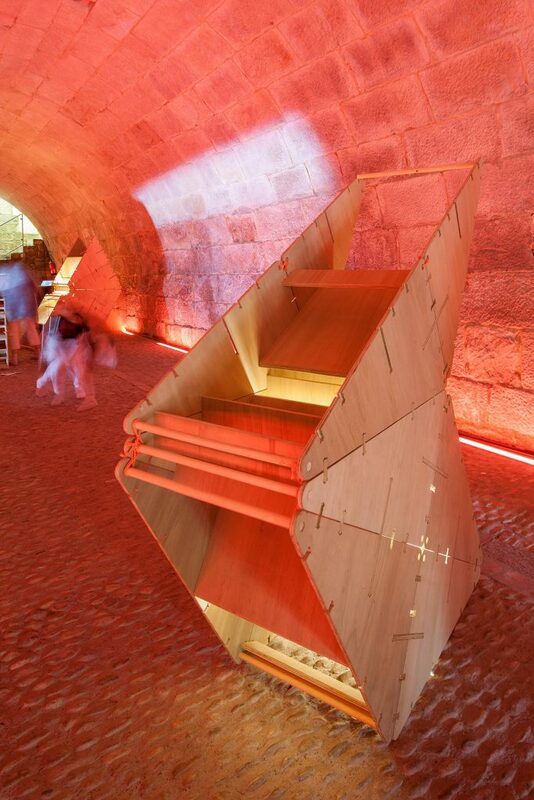 The experience of locations changing and evolving can be supported by multi-functional objects. 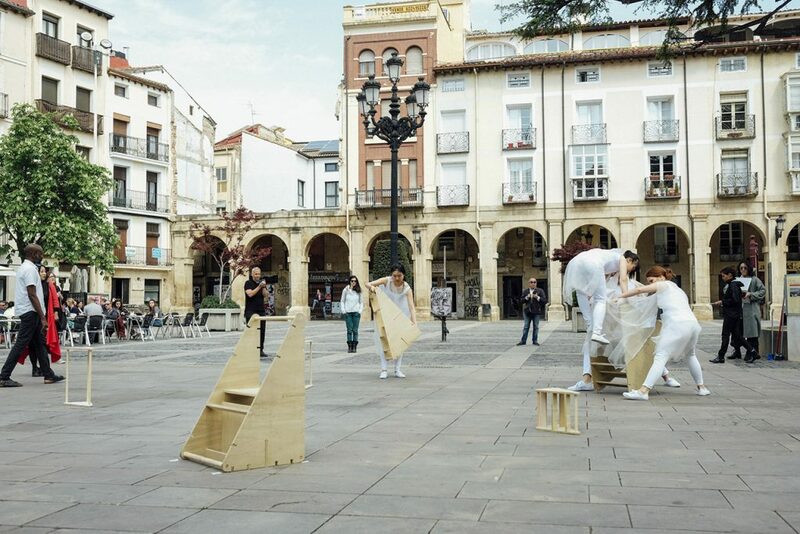 Where in one location the object serves one purpose and in a different location the same object supports another function (for example; market and interactive installation). 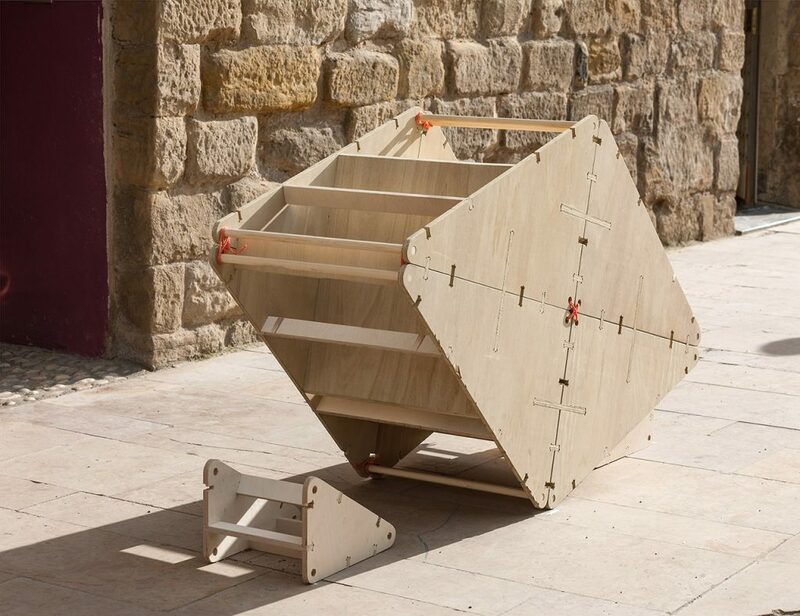 This evolution of an object can serve as a source of reflection; a method we’ve been exploring in our previous events. 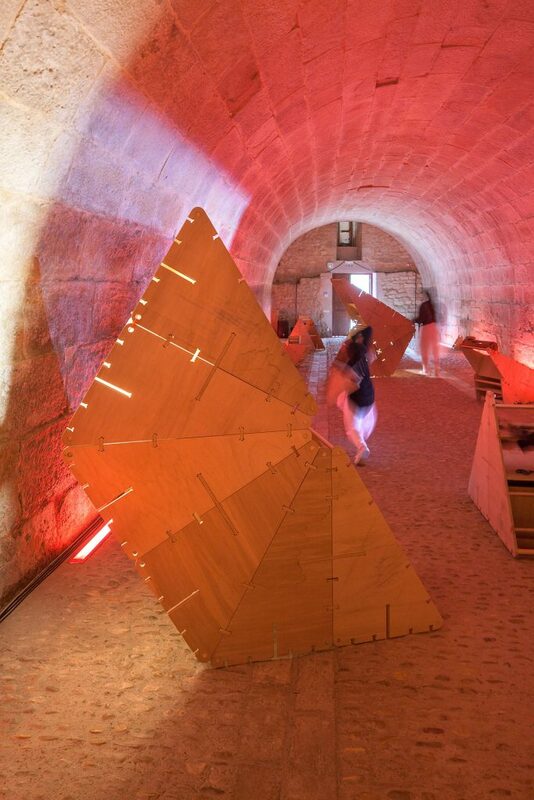 Plywood is a material that can serve both our ideas; variation of location and the ability to change. 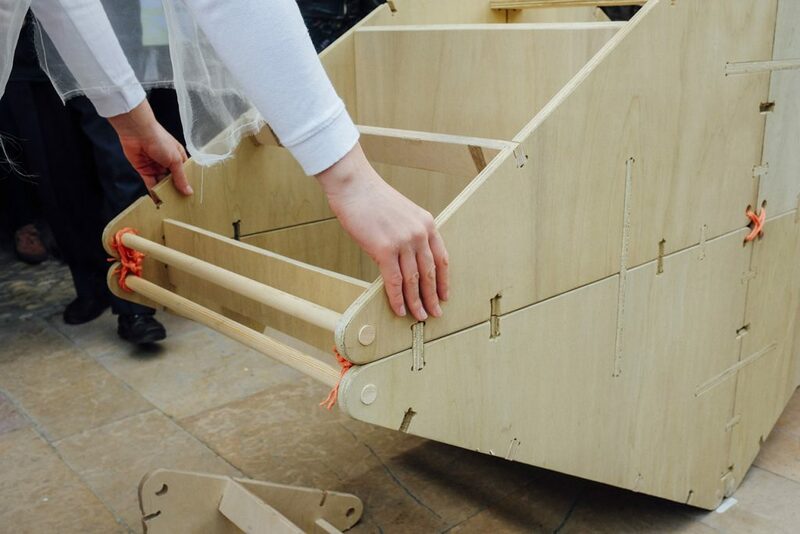 Additional materials might extend and bind the objects together with qualities such as soft, flexible, transparent etc. 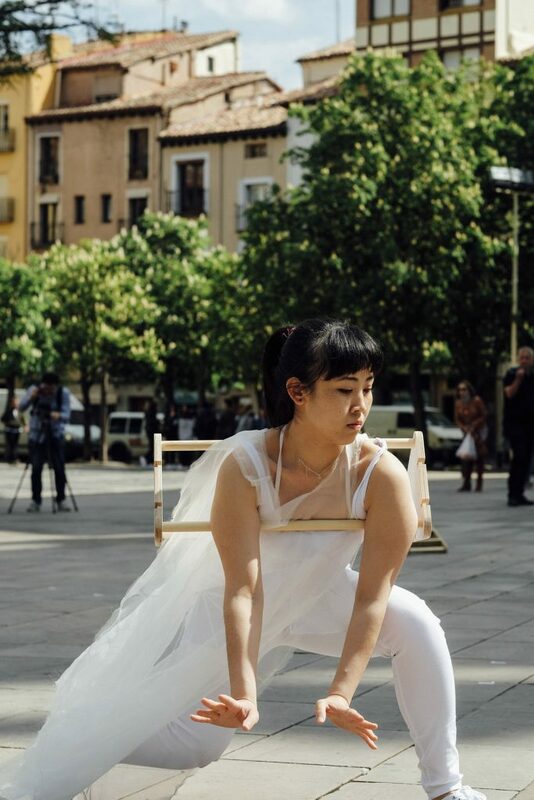 By this we can create a sense of resistance and tension. 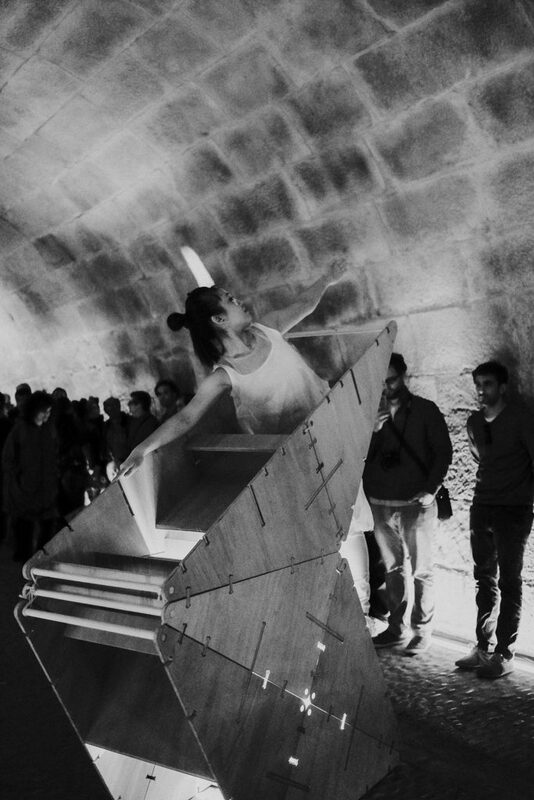 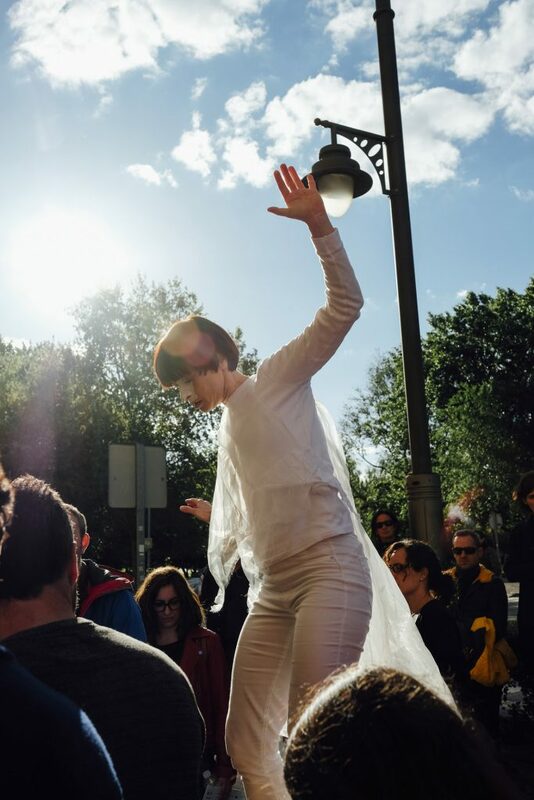 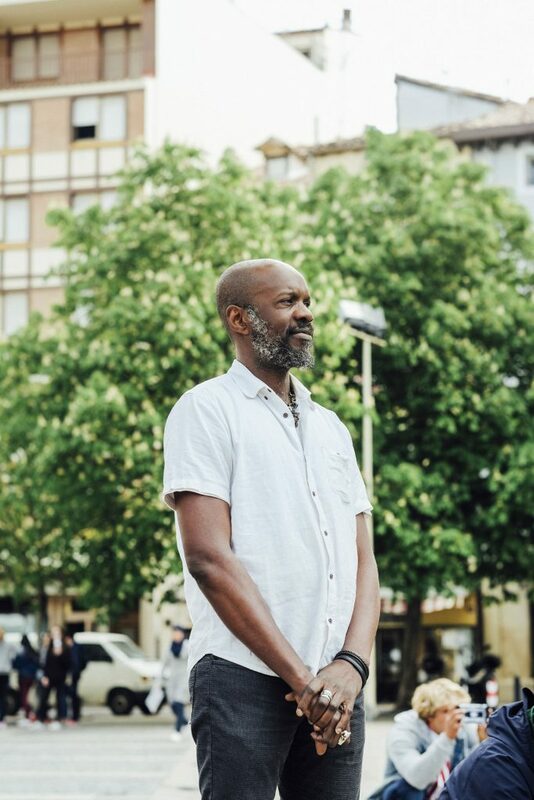 We will move beyond the formal conventions of architecture in collaboration and dialogue with professionals from other disciplines, performers, musicians, dancers and others that can contribute to the work. 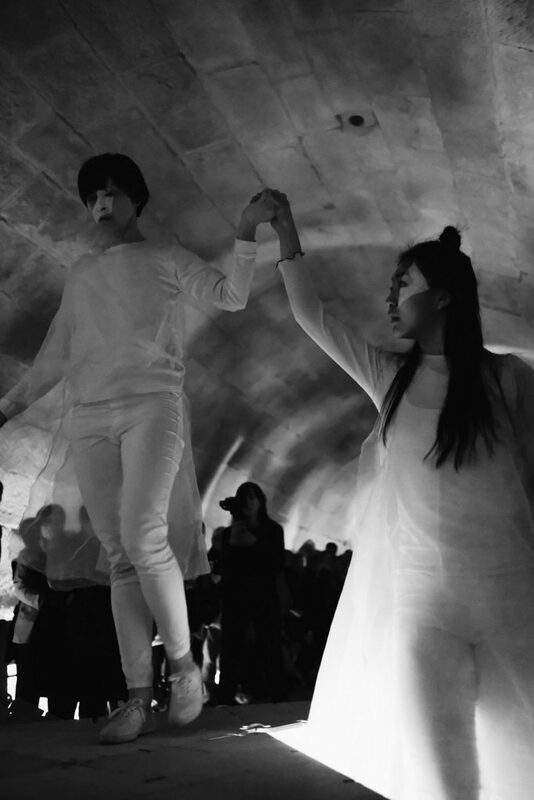 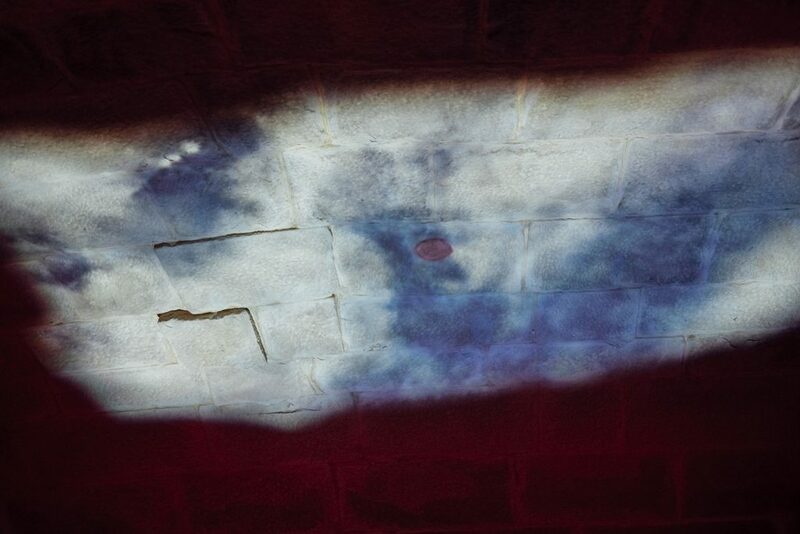 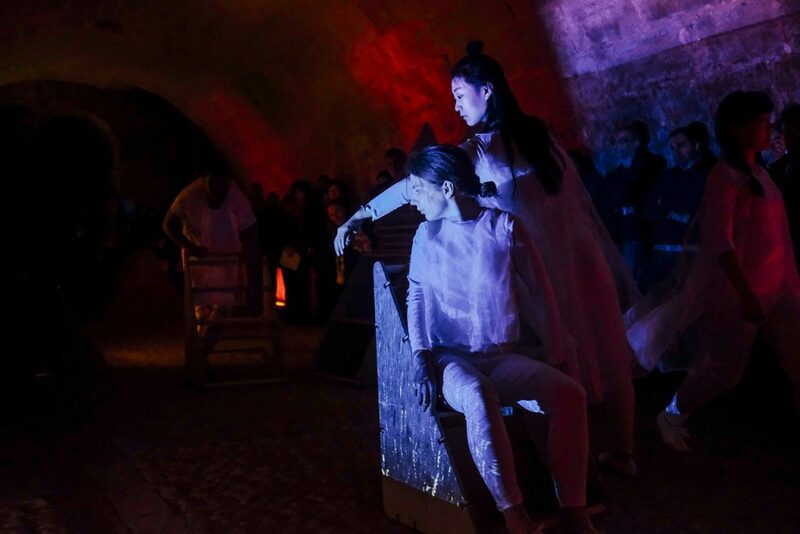 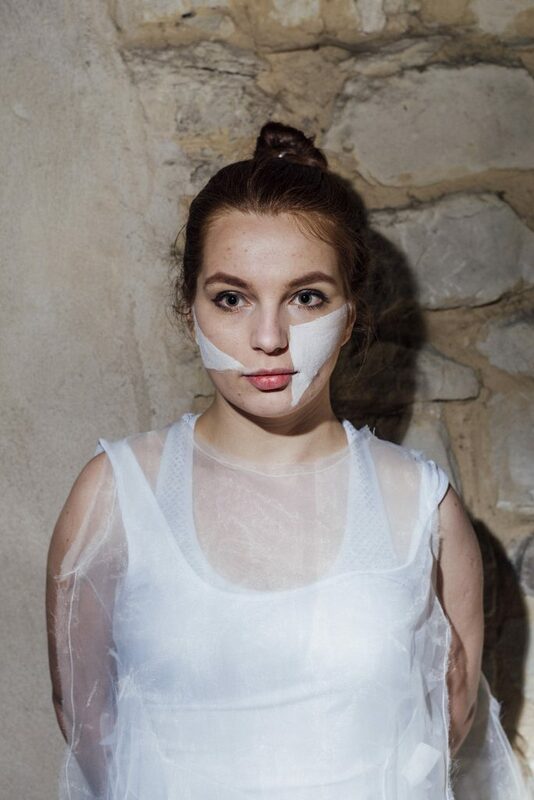 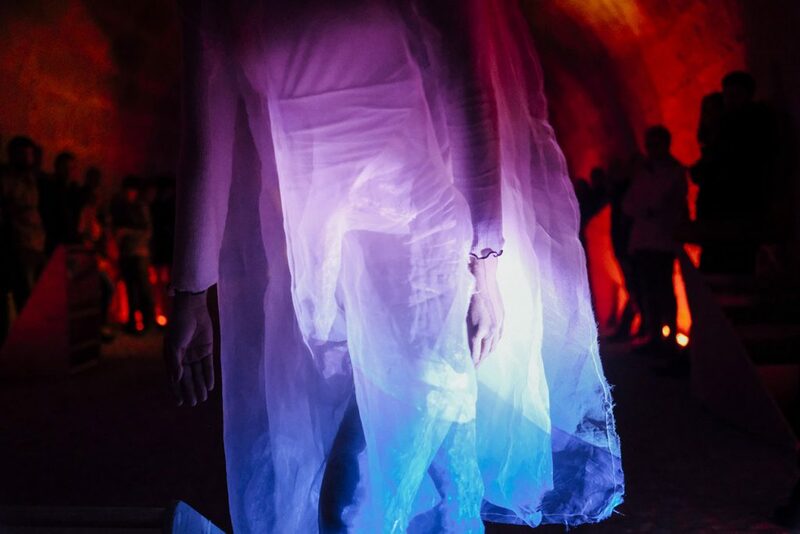 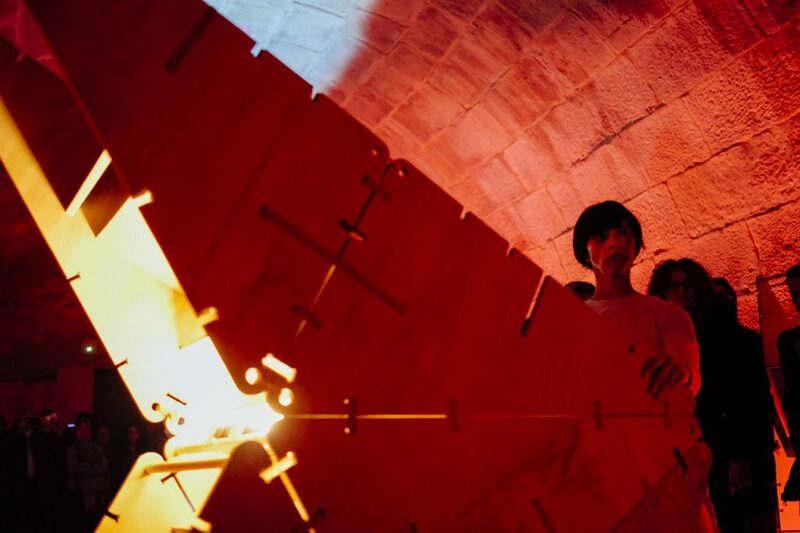 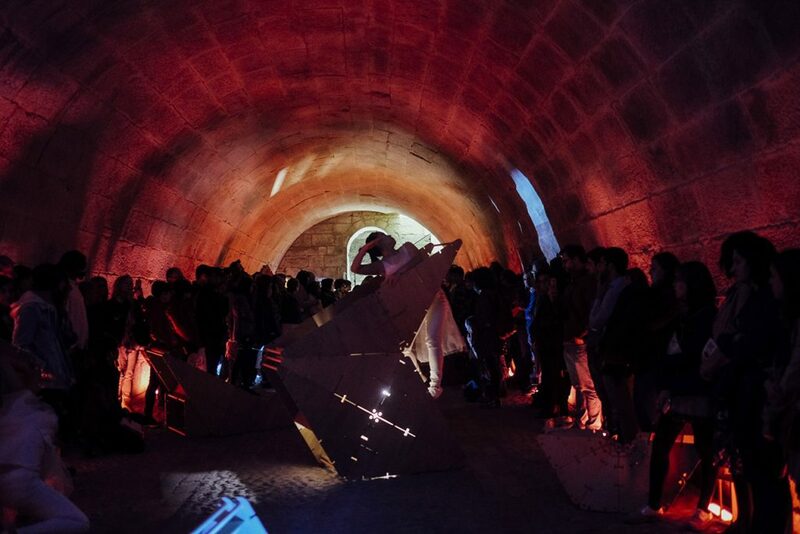 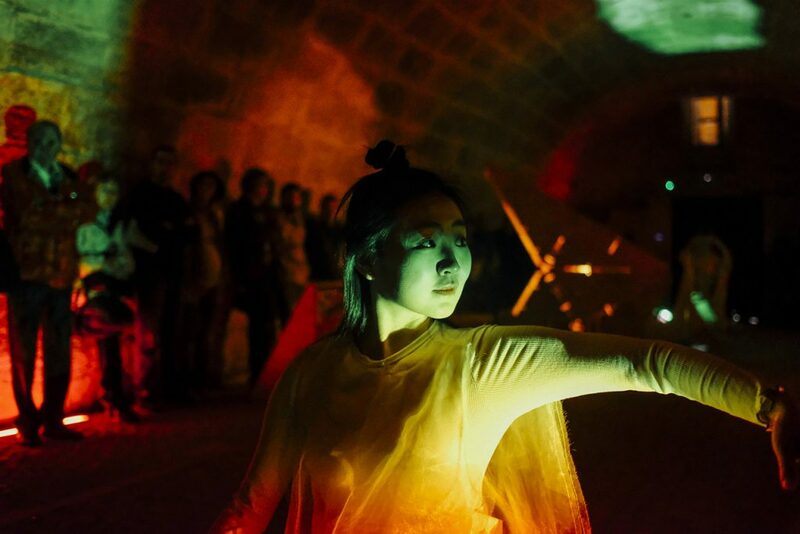 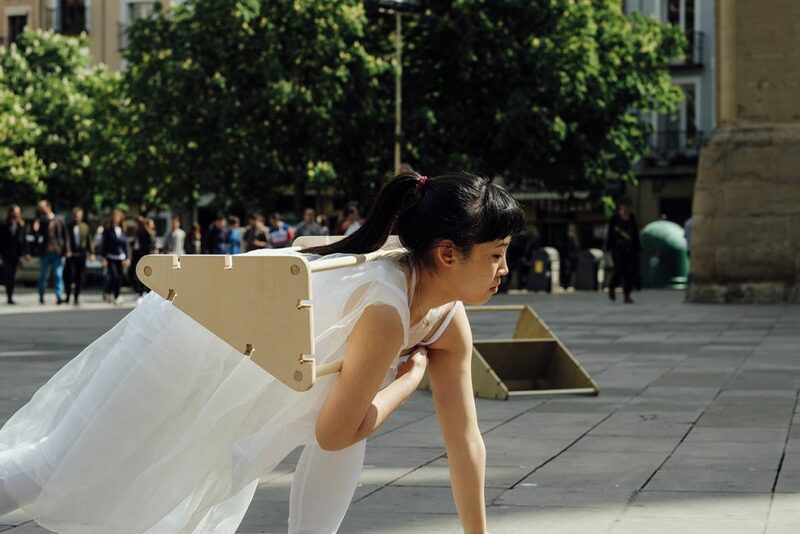 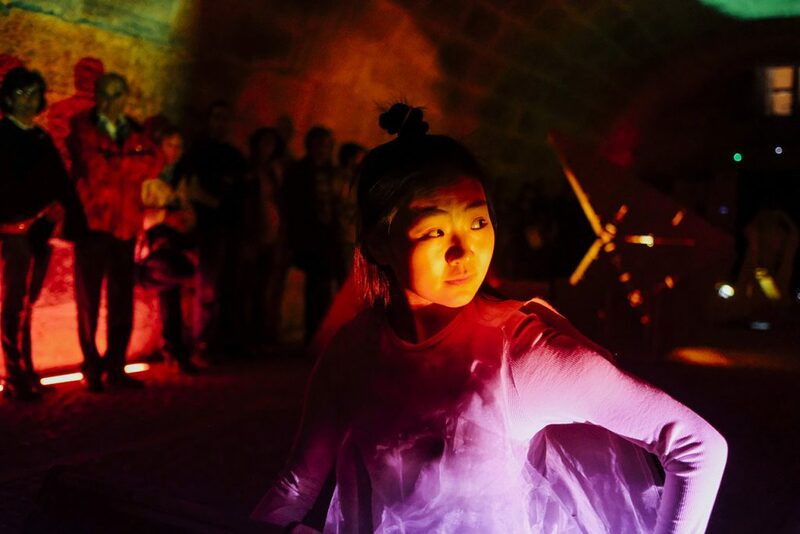 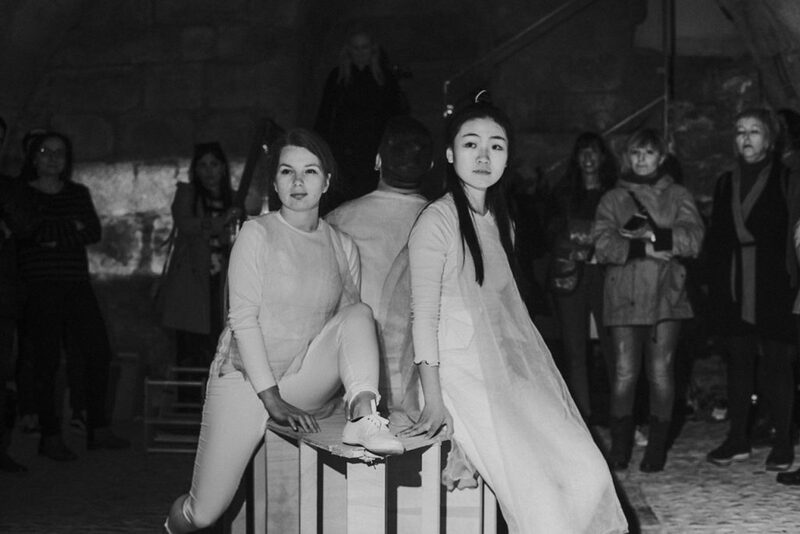 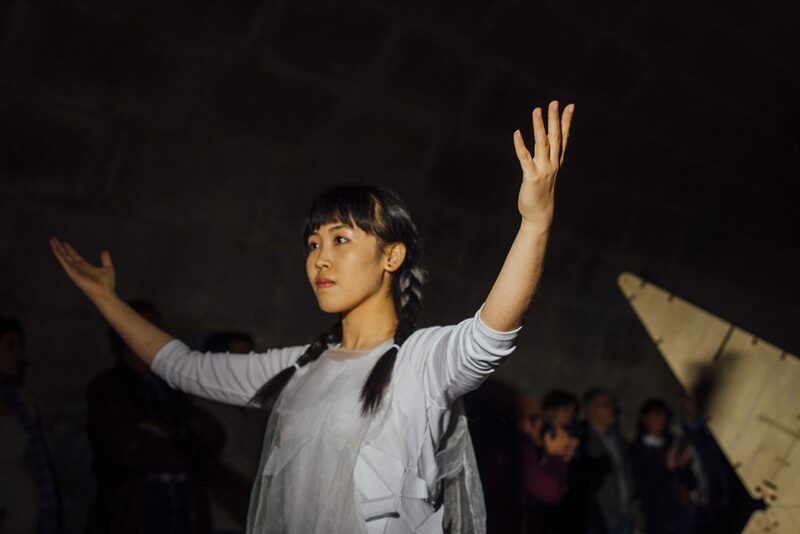 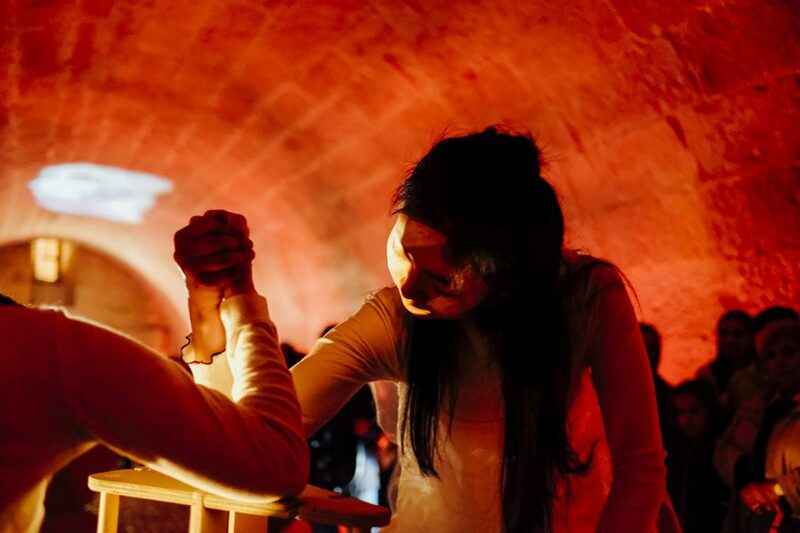 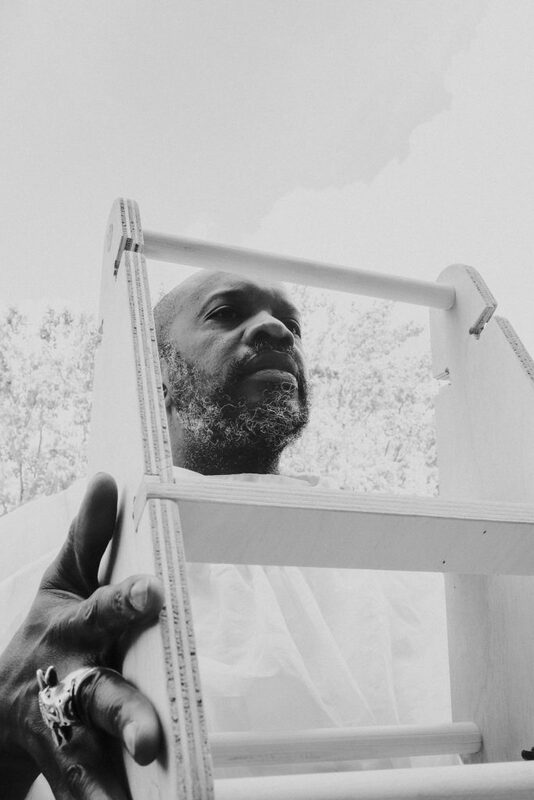 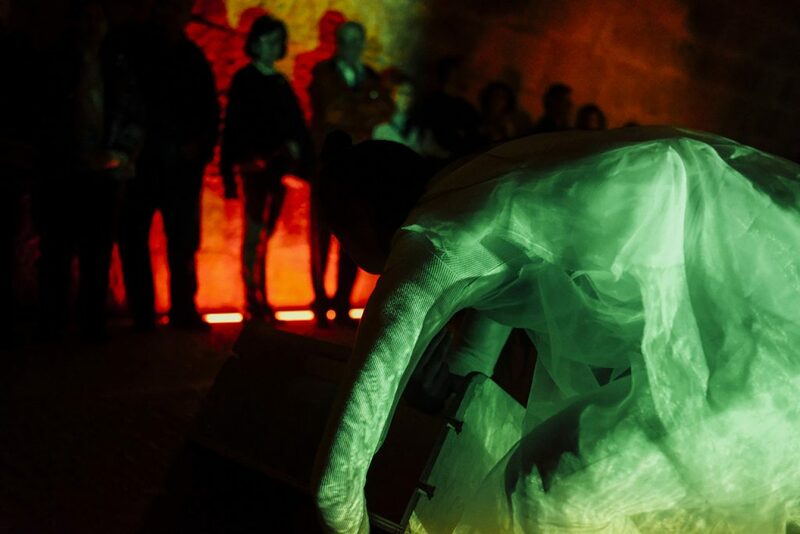 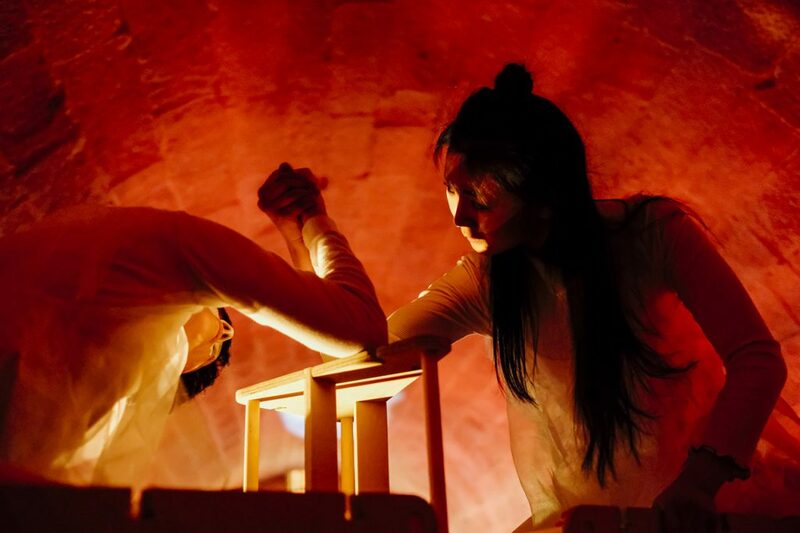 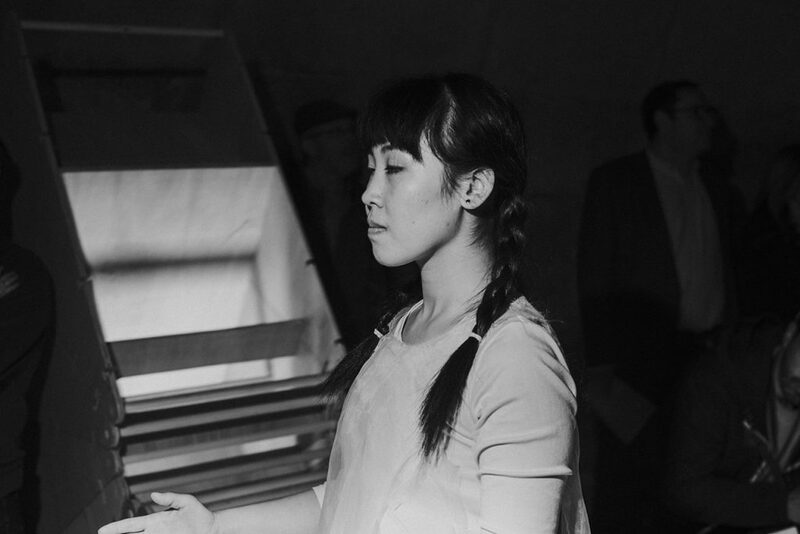 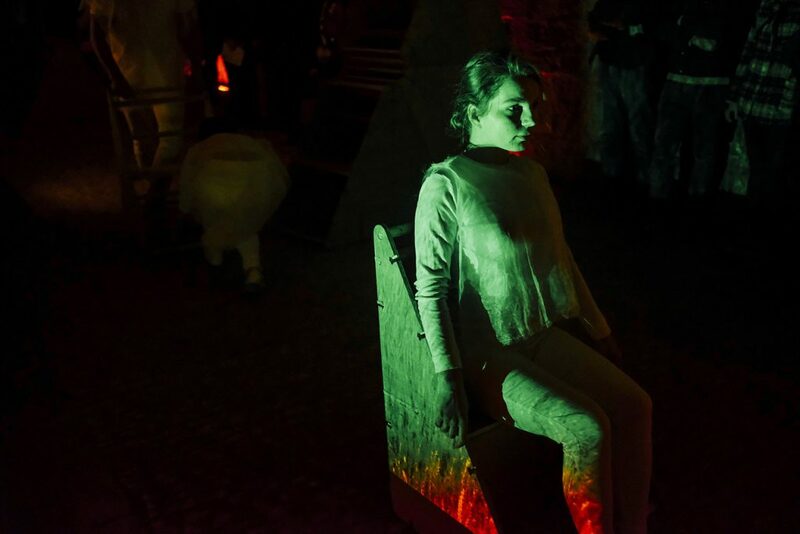 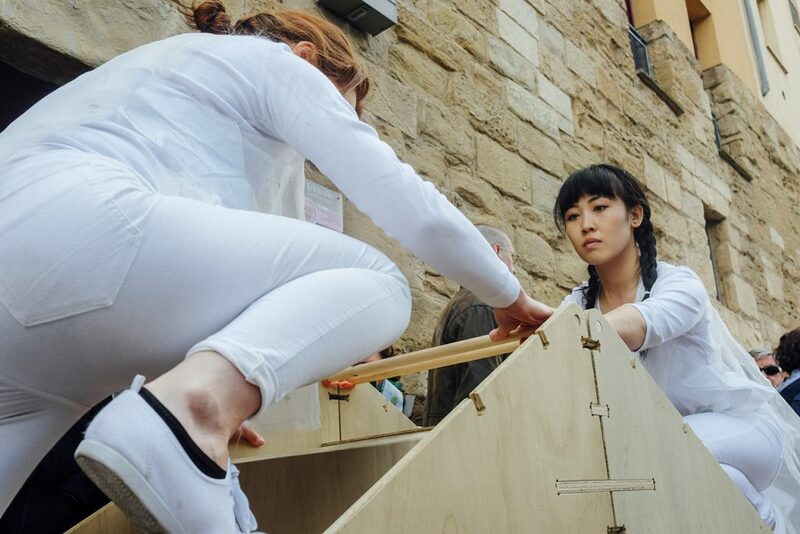 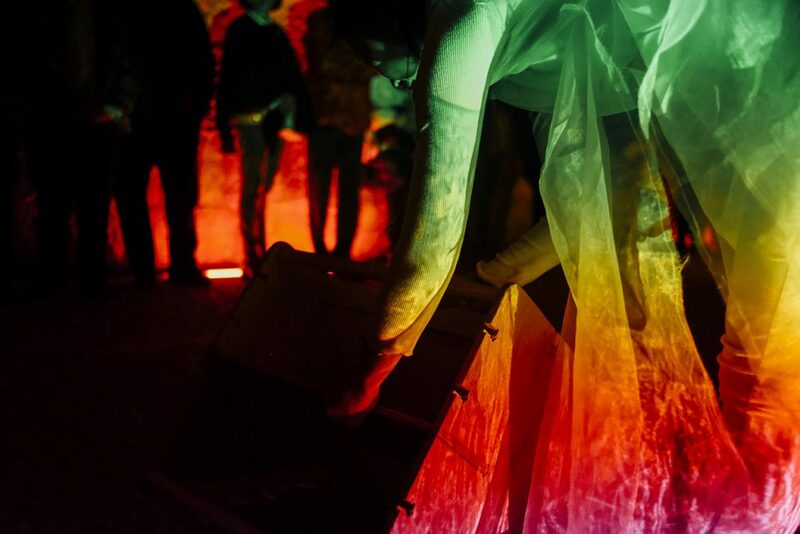 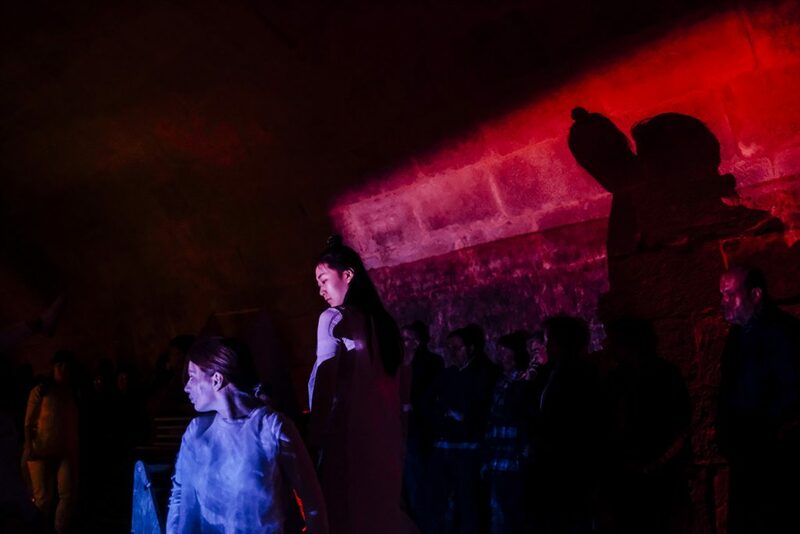 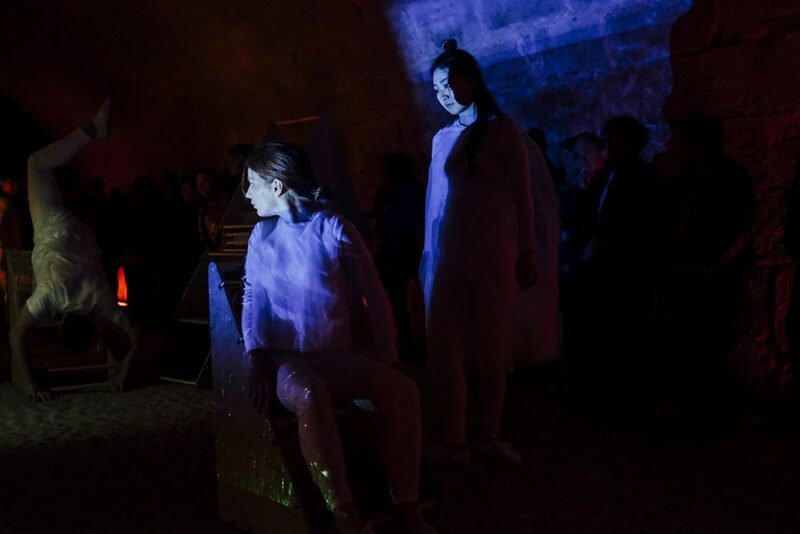 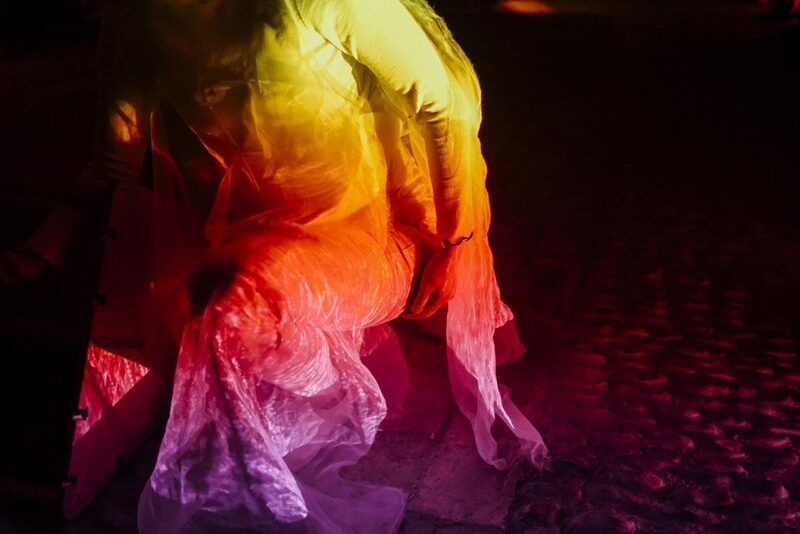 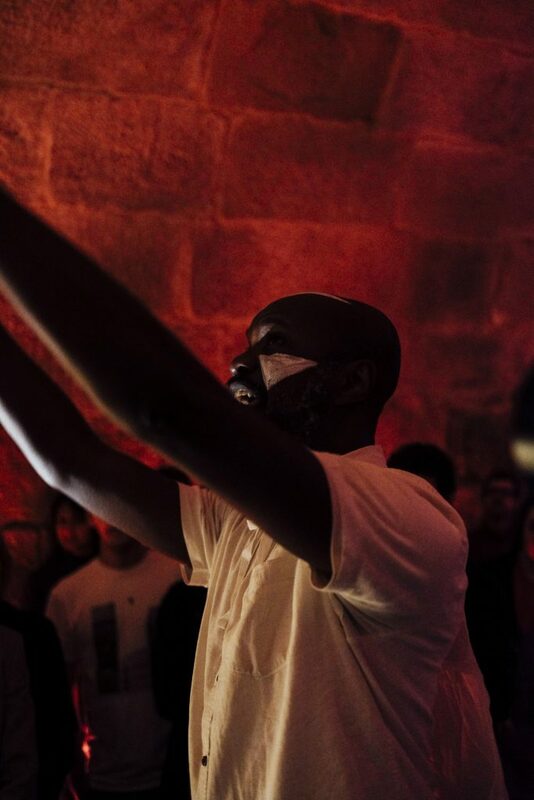 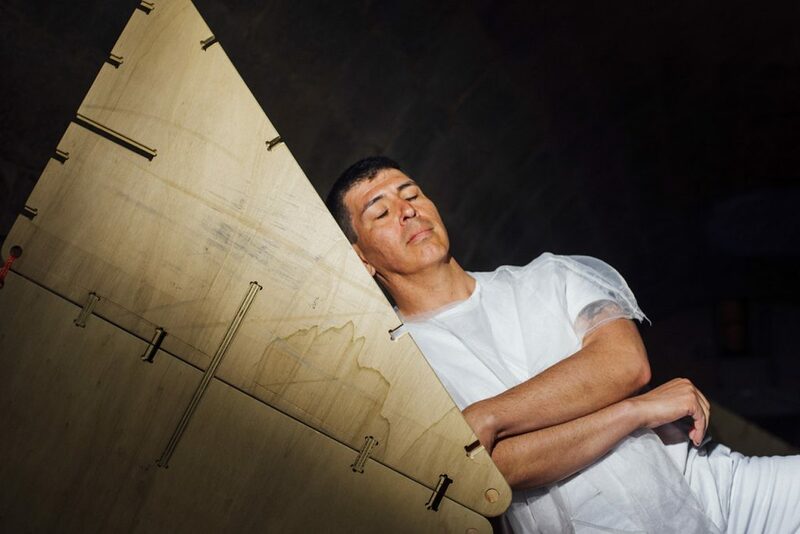 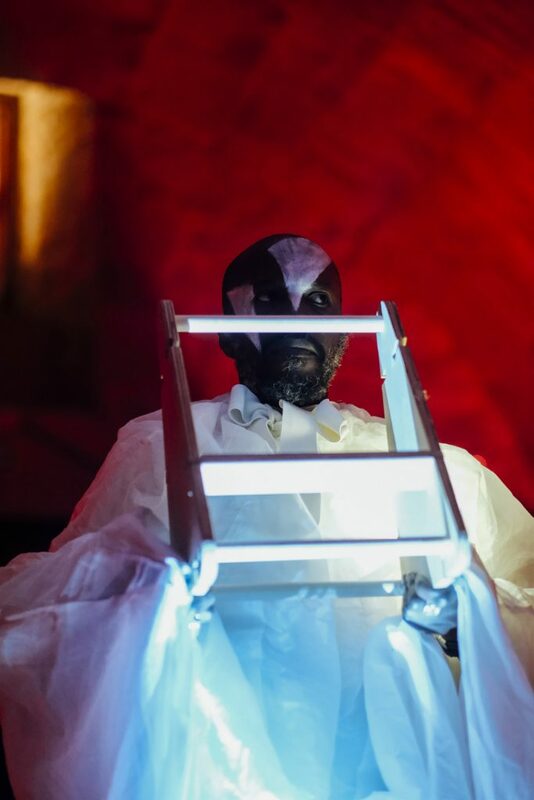 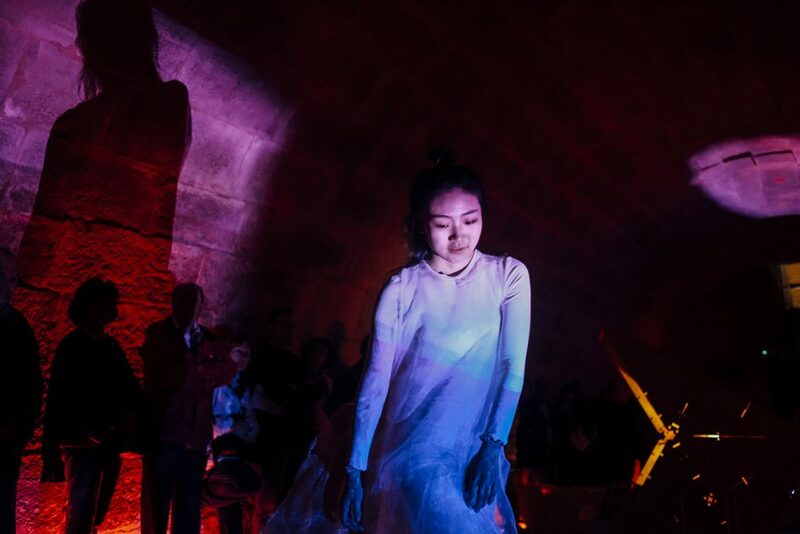 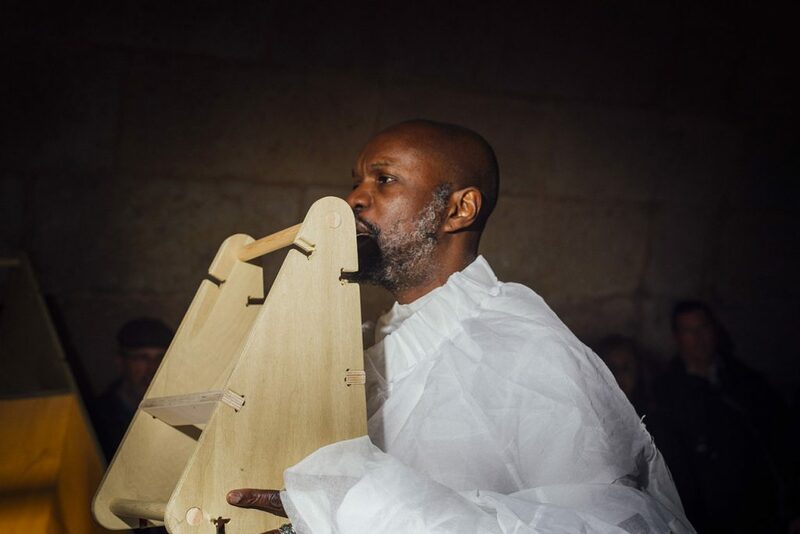 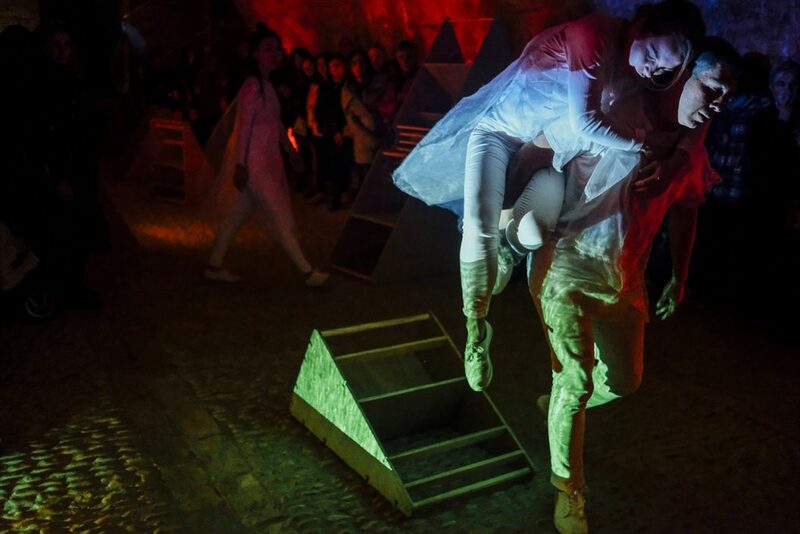 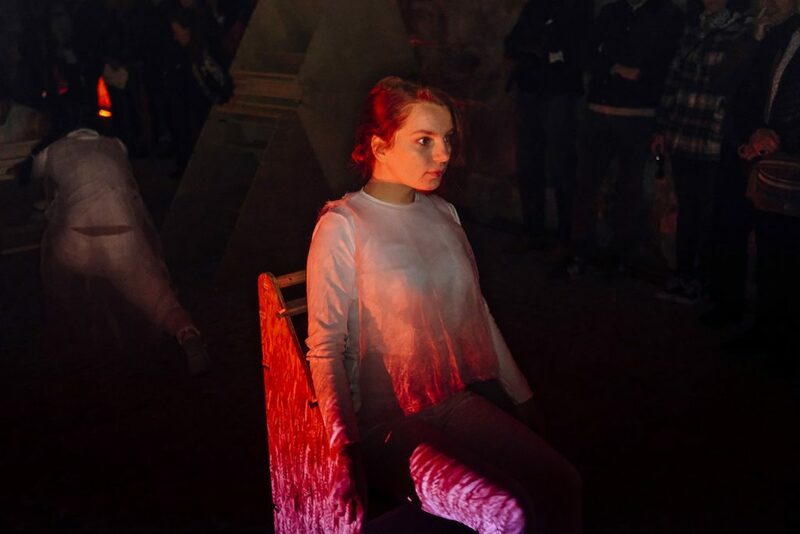 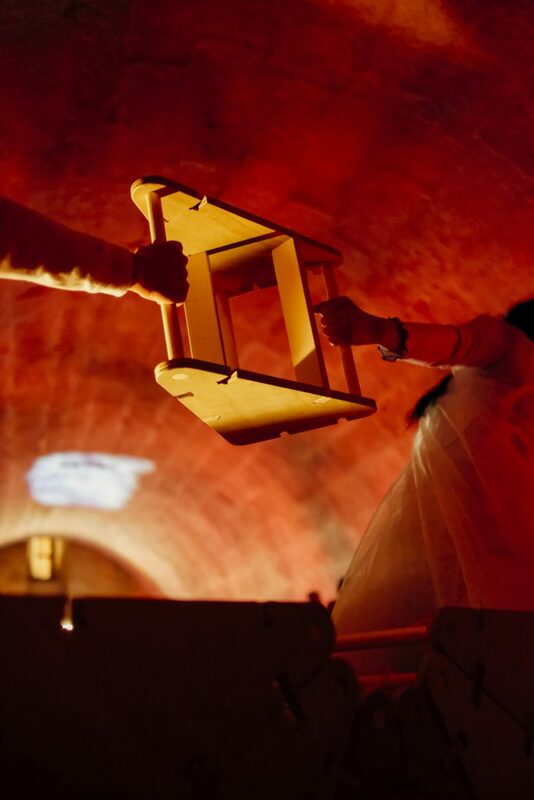 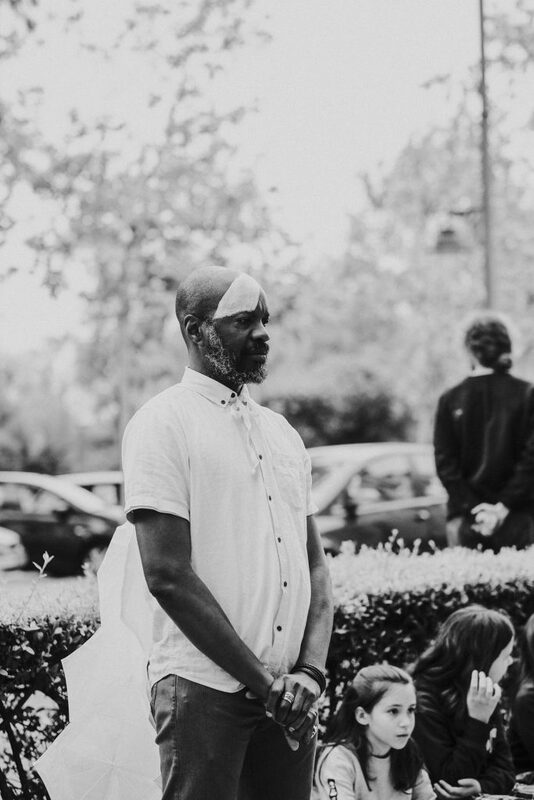 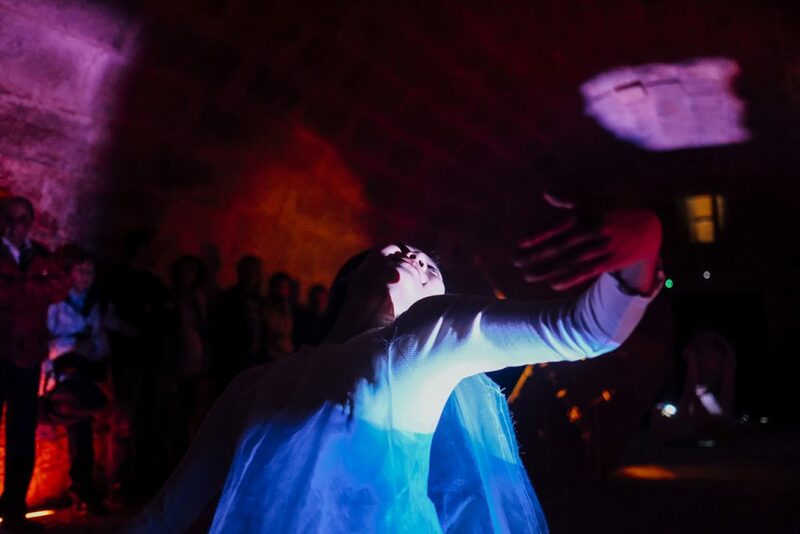 The programme explores alternative forms of collaboration between the multiple creative professions through the research, conception, design and implementation/production of a series of genre-defying spatial performances and constructions. 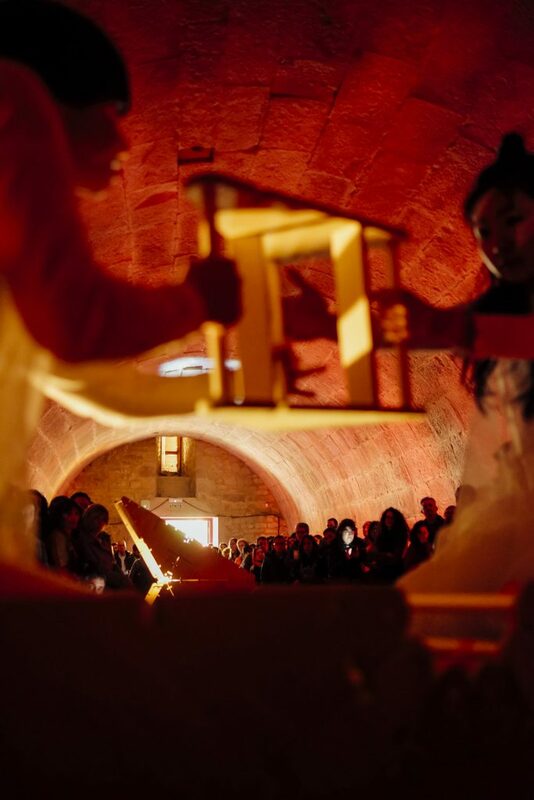 By creating unique project-events that form the basis for continued discussion, the AAIS provides students with a starting point for individual careers within a new overarching discipline. 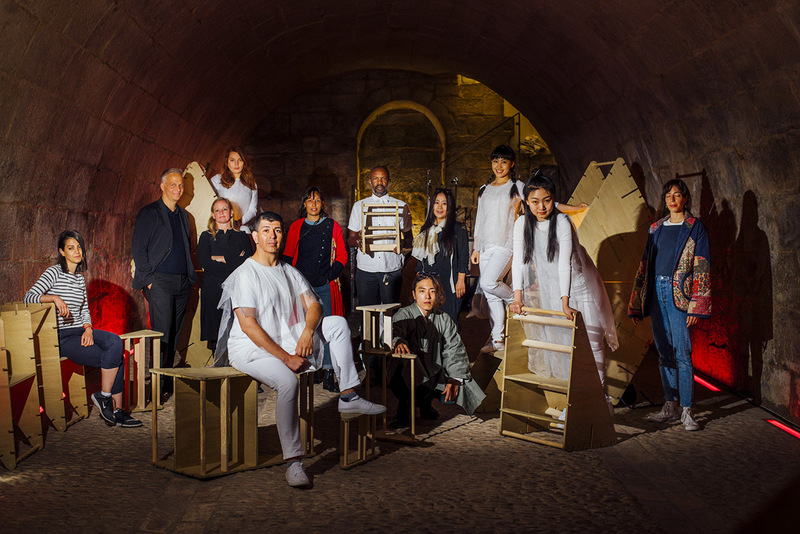 Team: Hila Shemer (Israel), Mona Camille (Germany), Noa Segev (Israel), Lumia Shurong Liu (Chine) y Jong Hyun (Tom) Park (South Korea), directed by Theo Lorenz and Tanja Siems, AA Interprofessional Studio (AAIS).